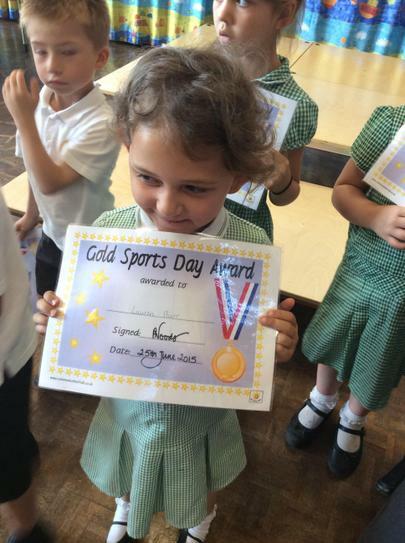 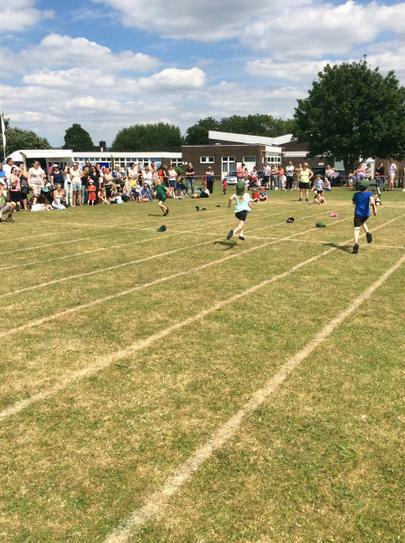 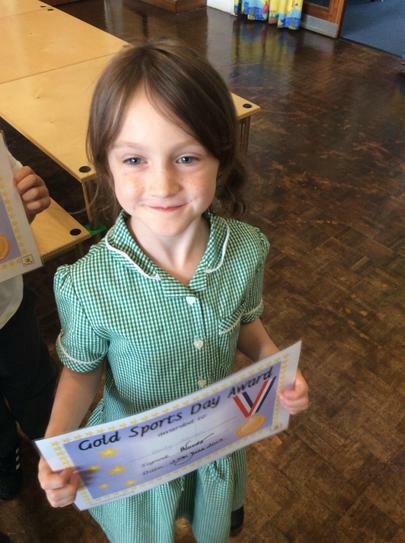 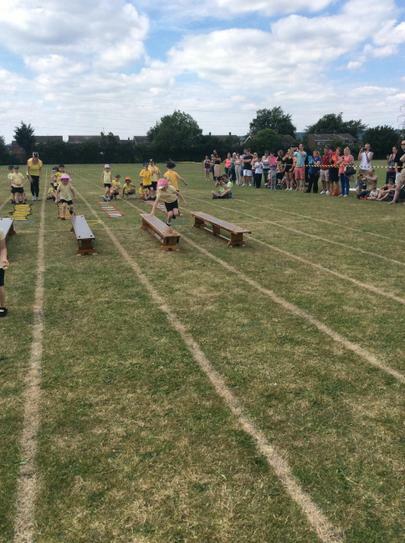 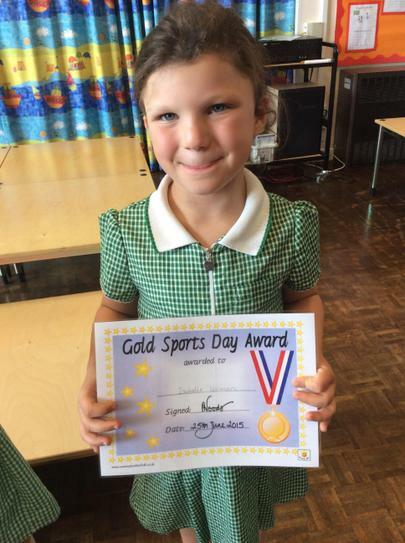 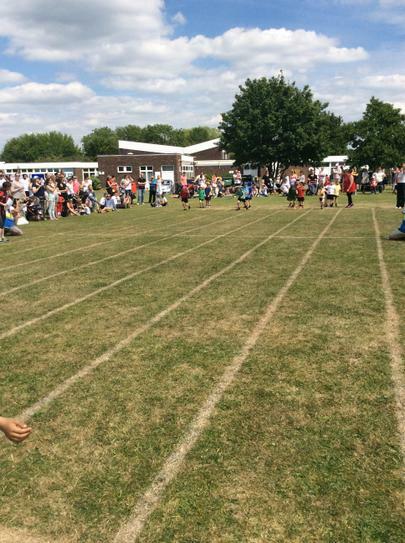 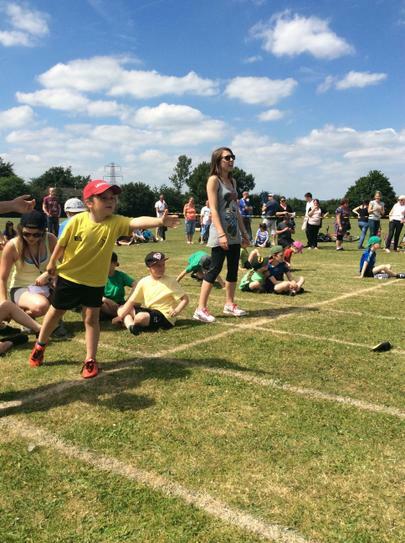 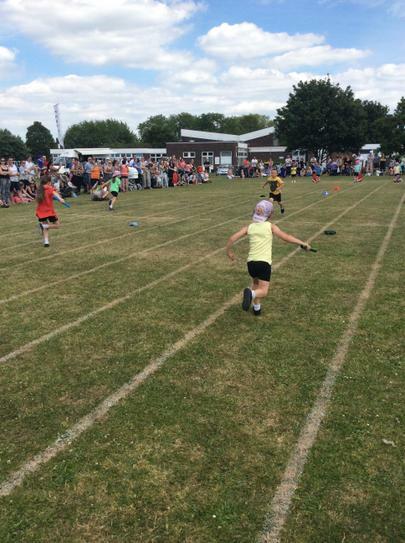 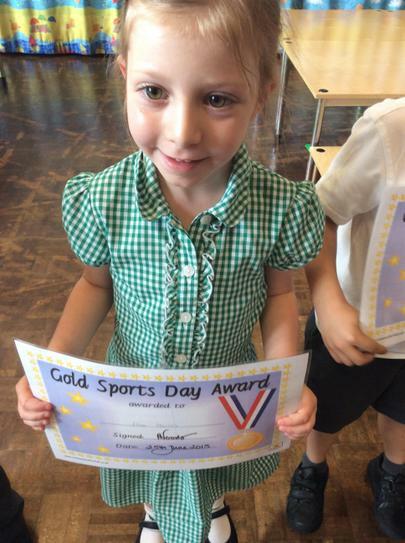 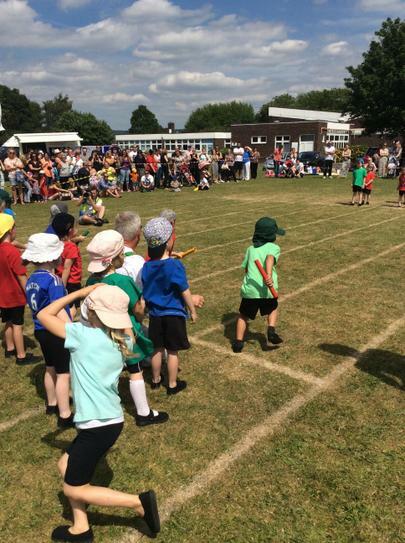 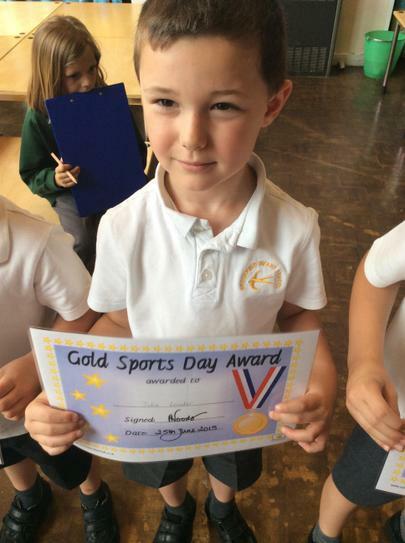 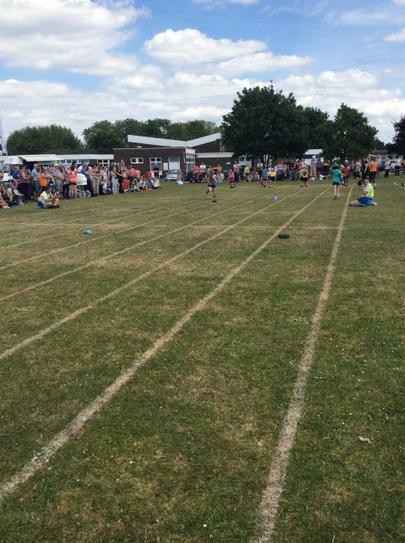 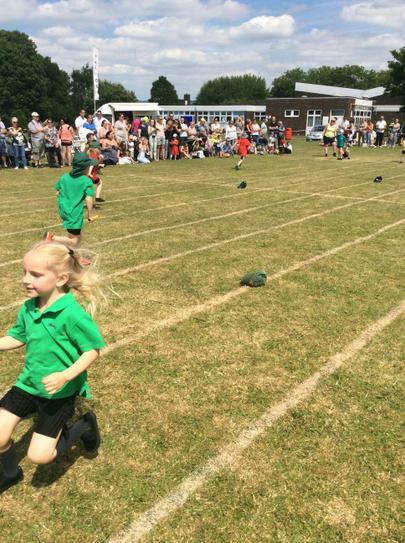 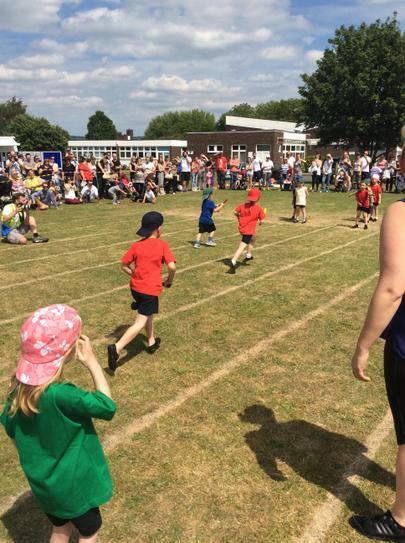 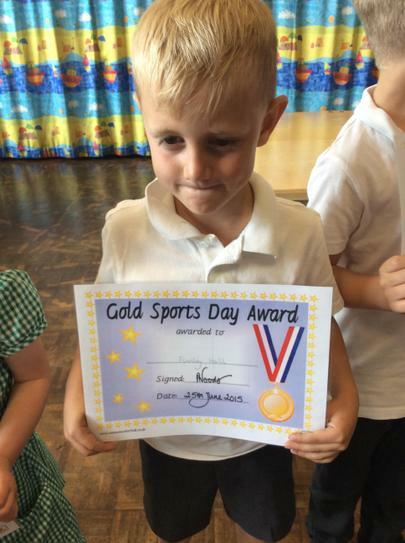 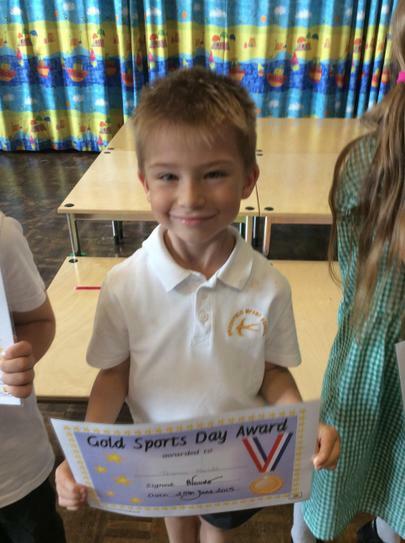 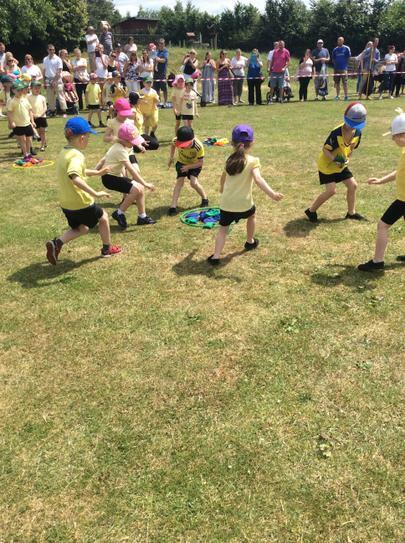 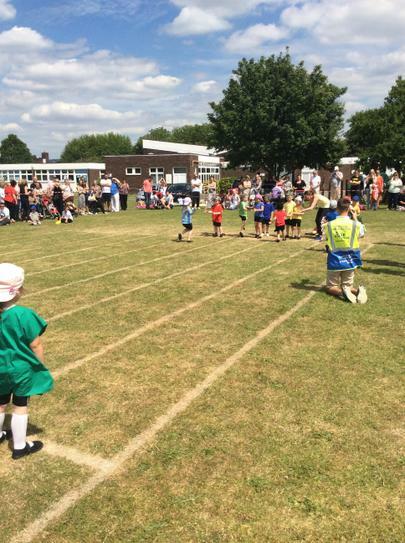 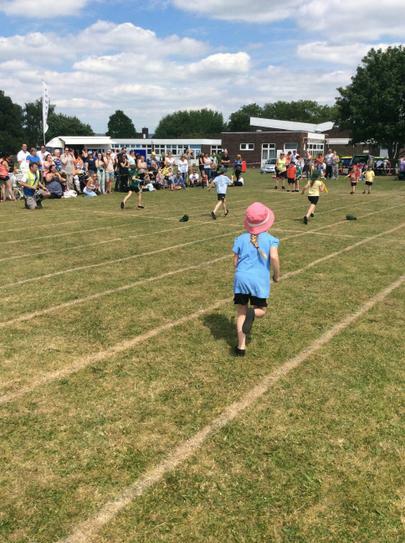 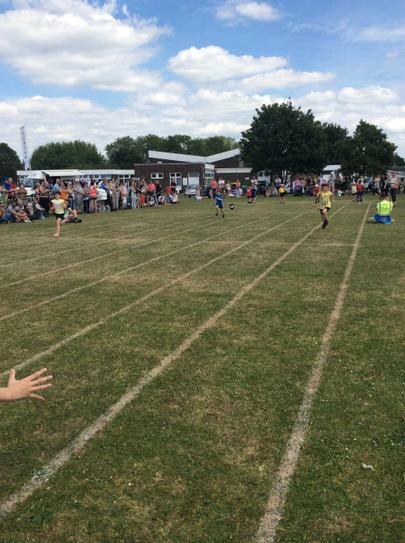 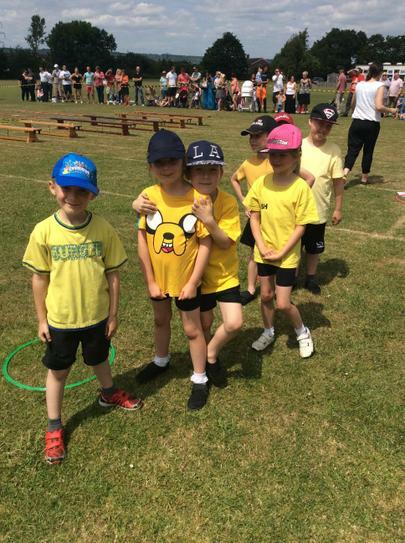 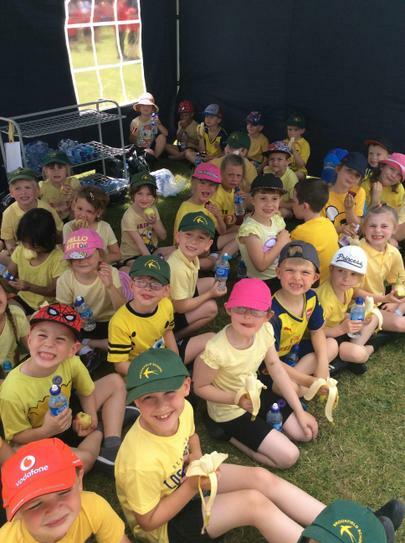 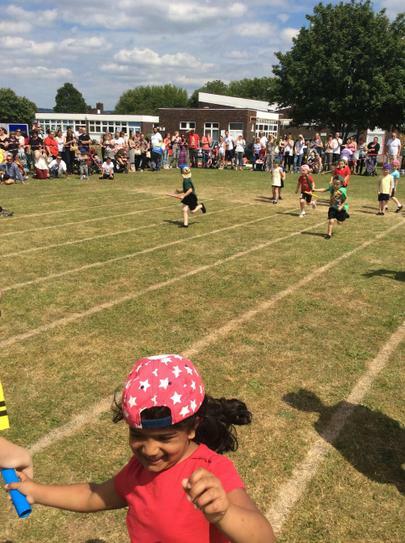 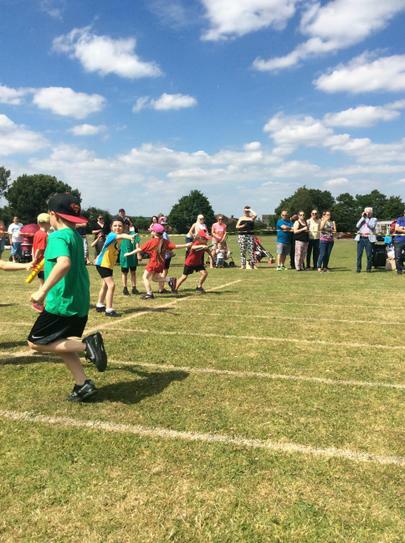 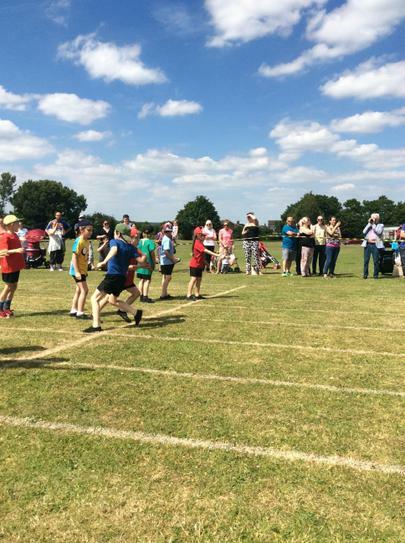 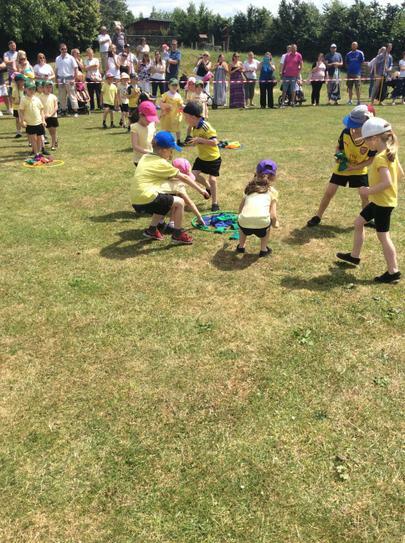 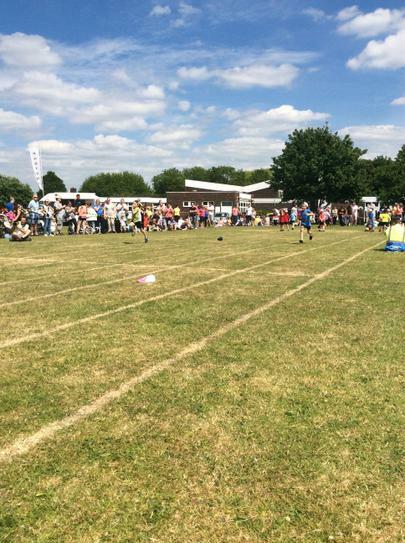 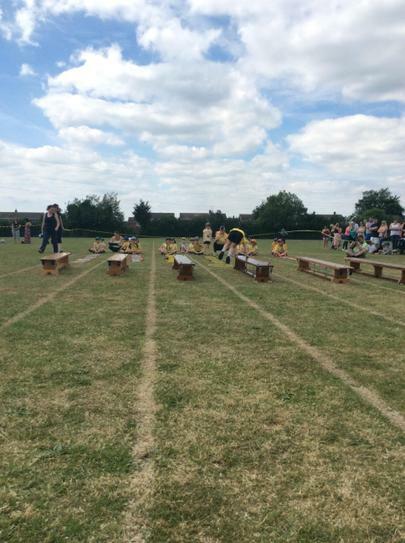 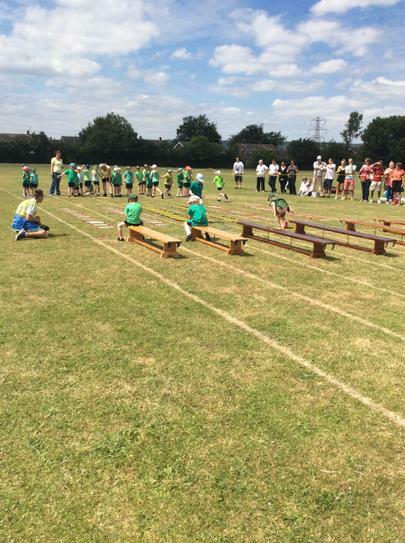 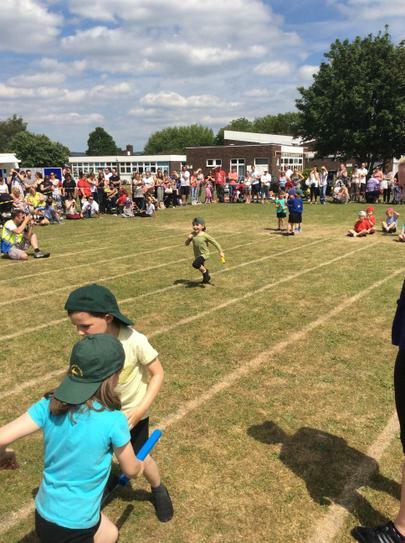 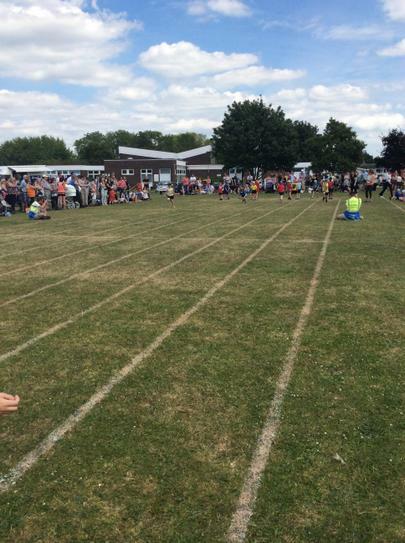 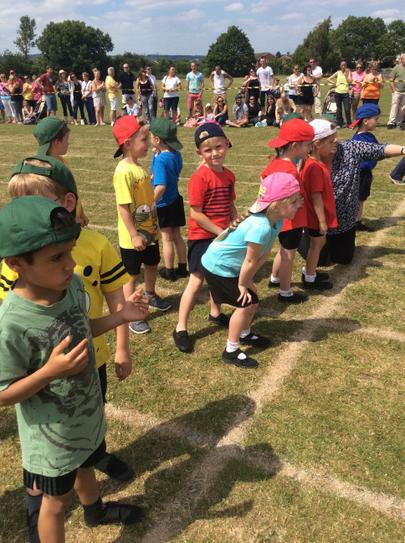 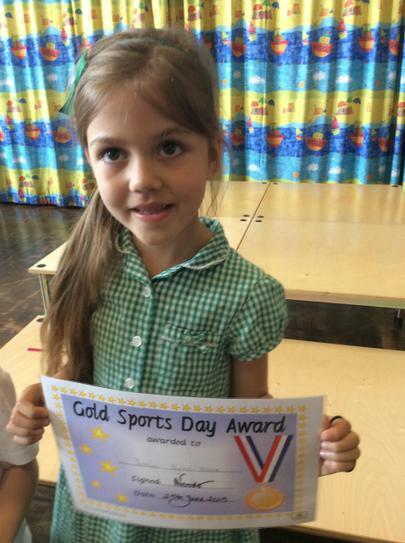 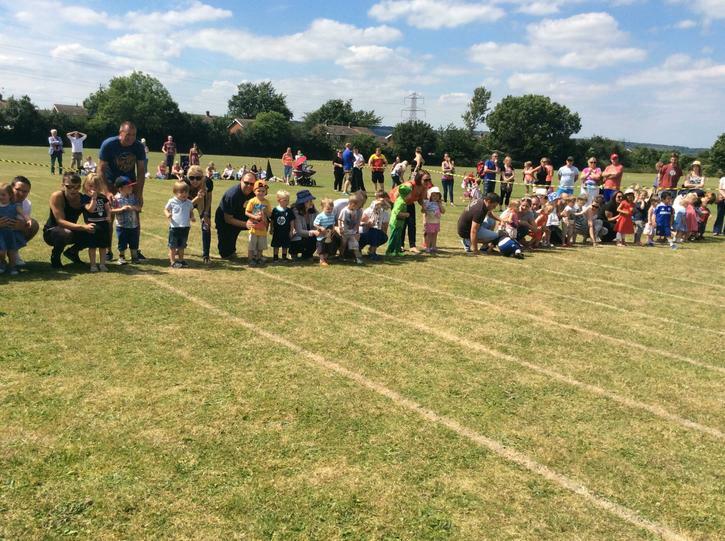 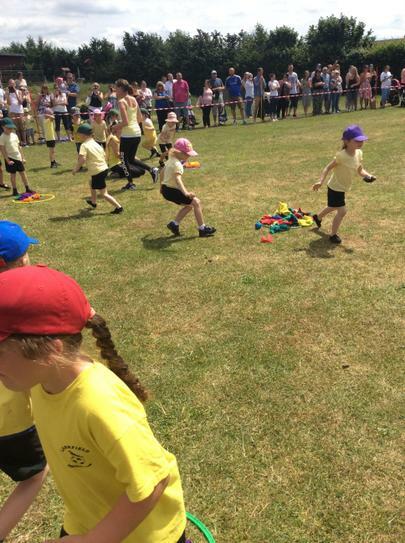 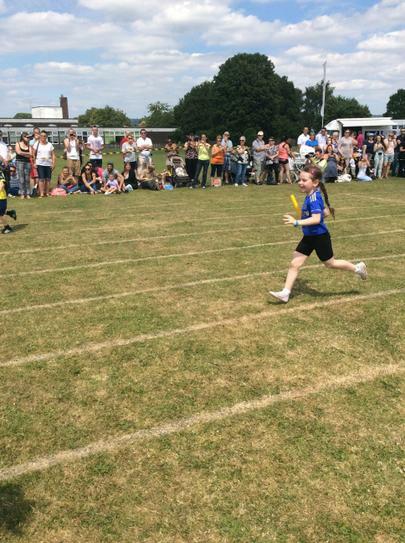 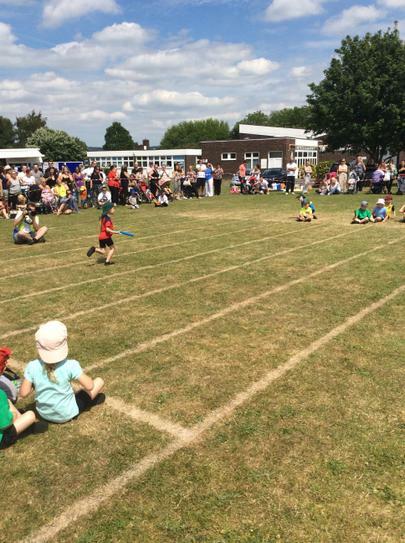 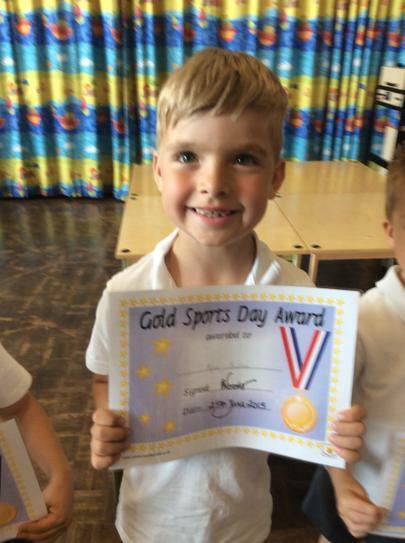 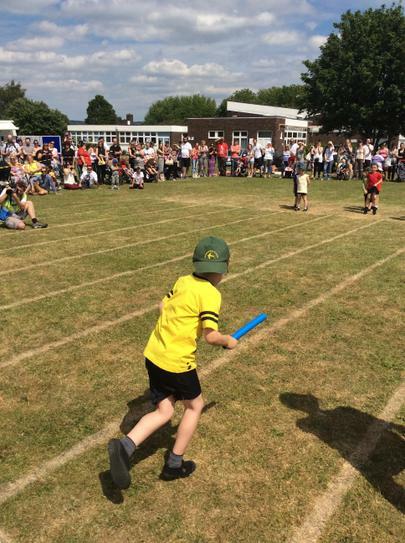 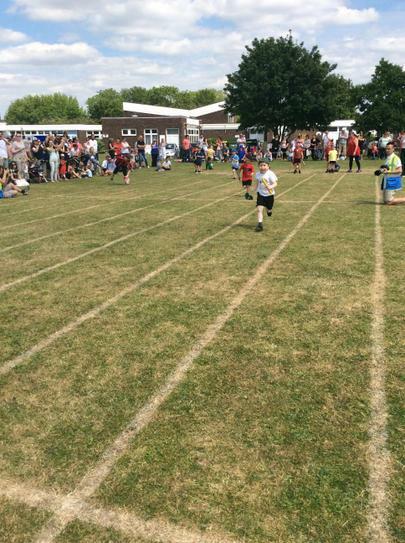 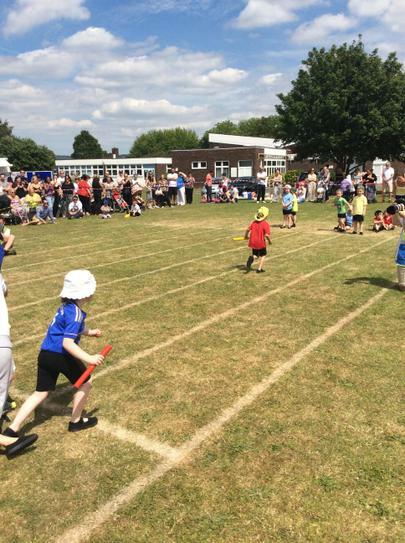 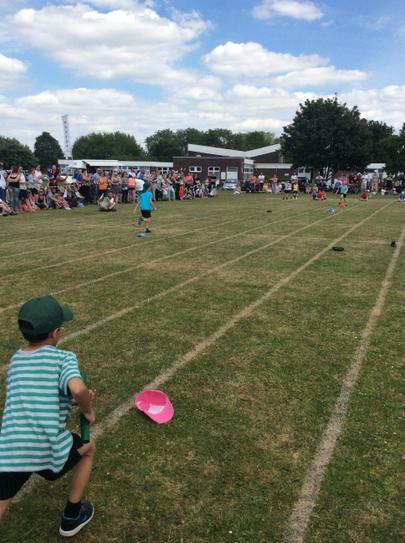 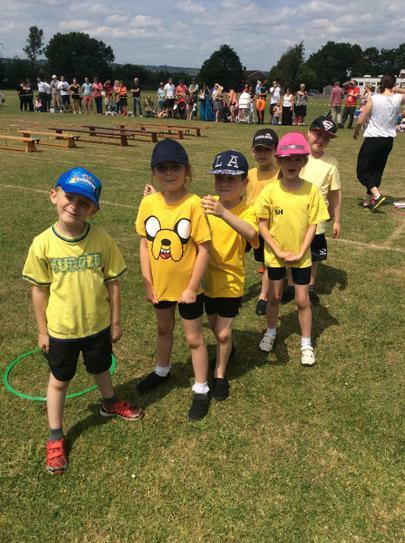 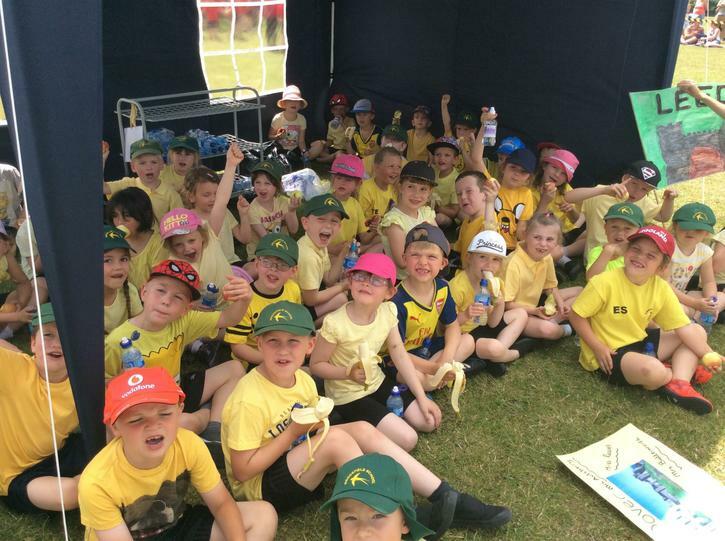 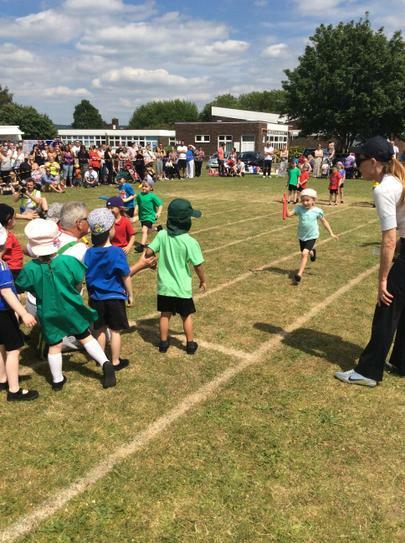 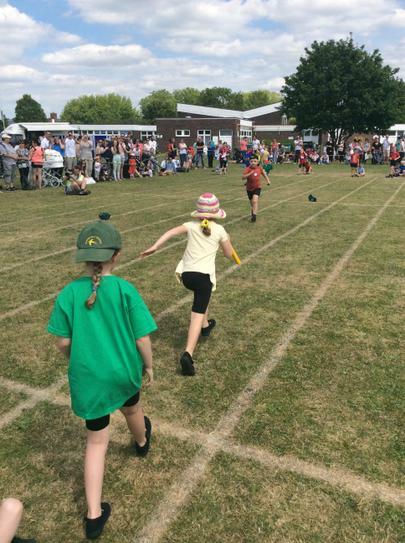 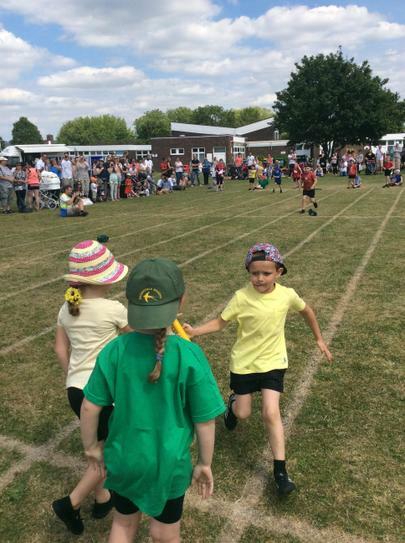 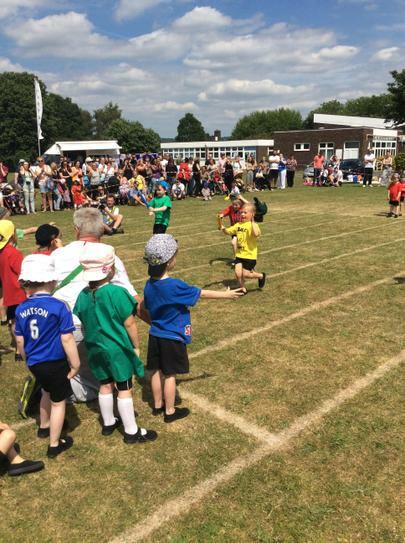 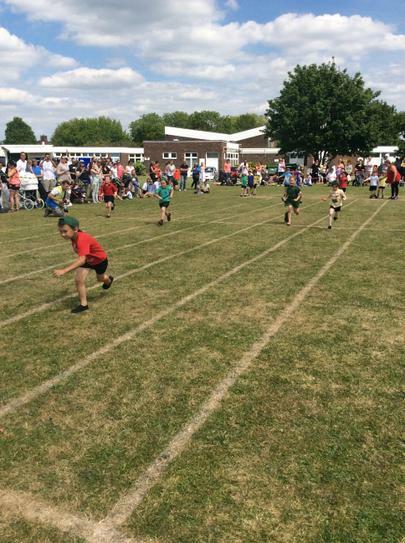 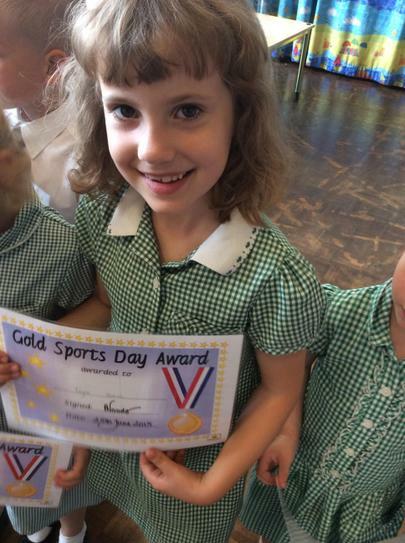 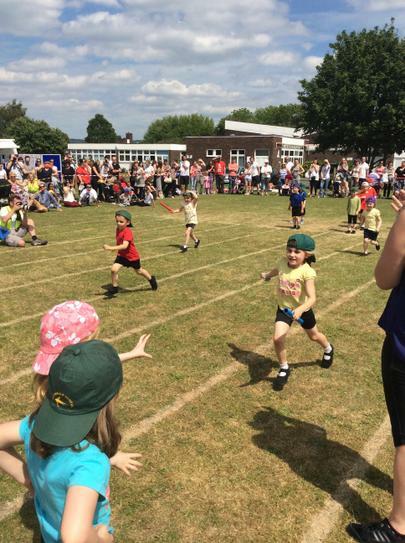 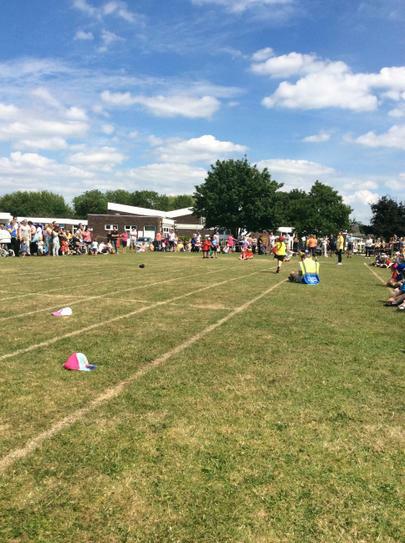 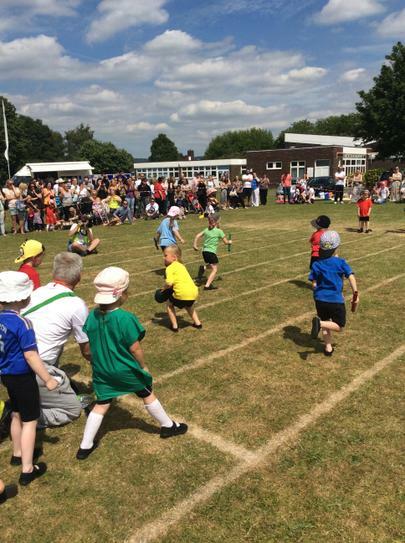 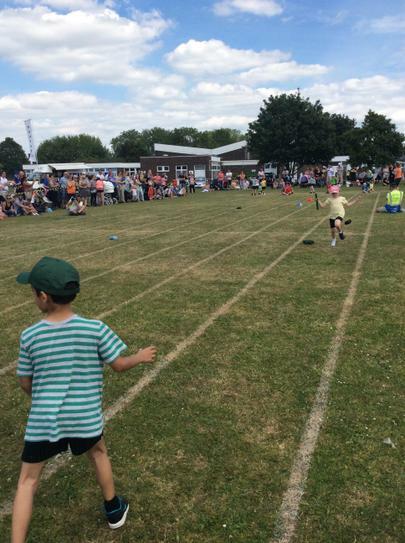 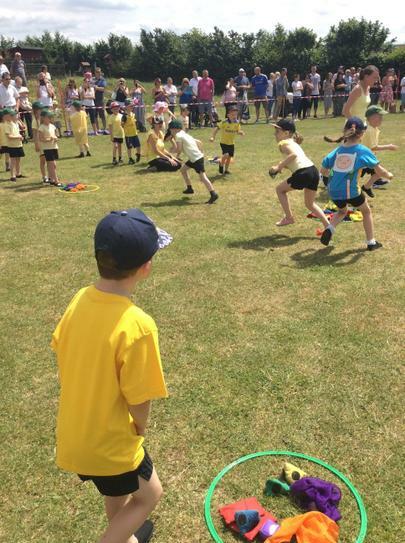 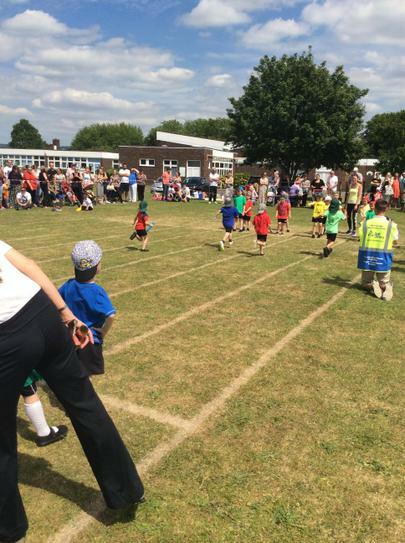 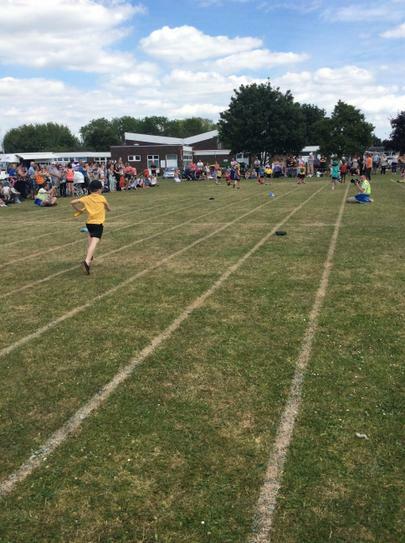 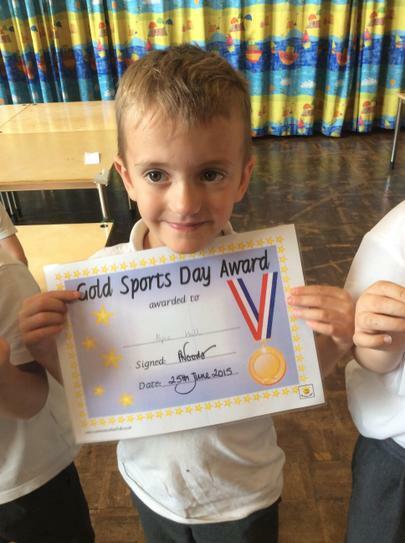 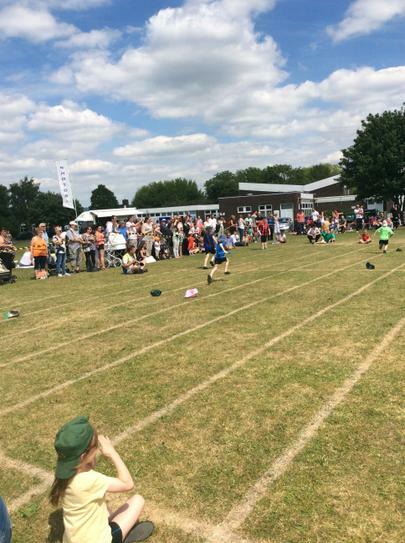 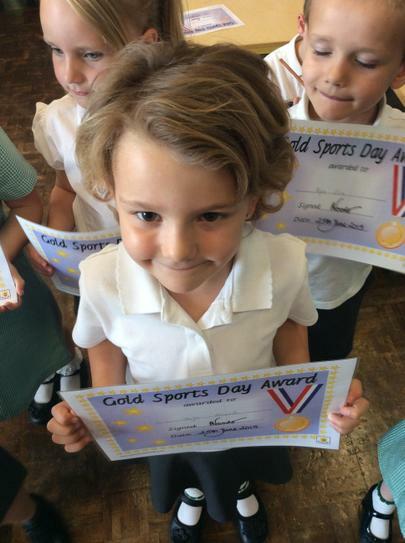 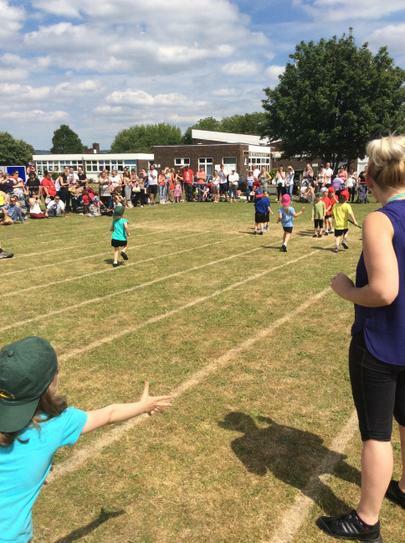 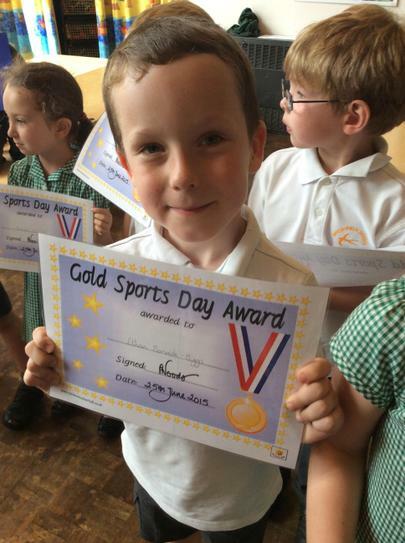 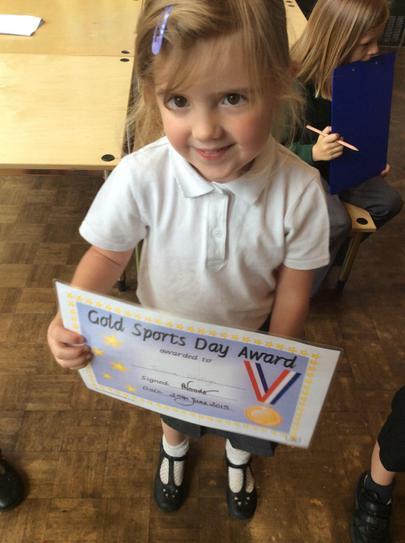 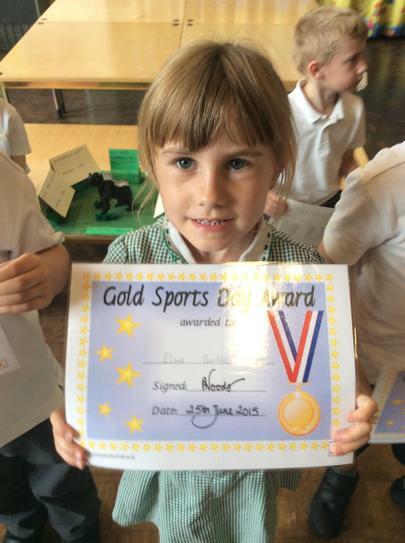 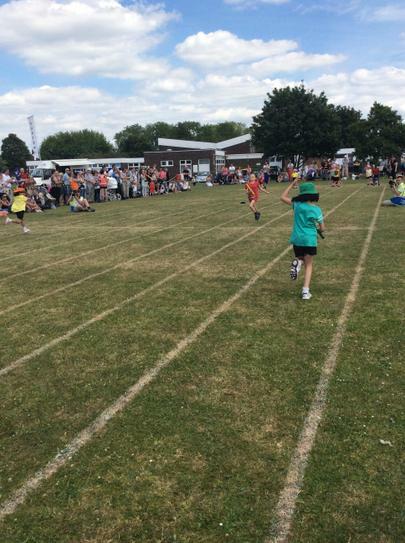 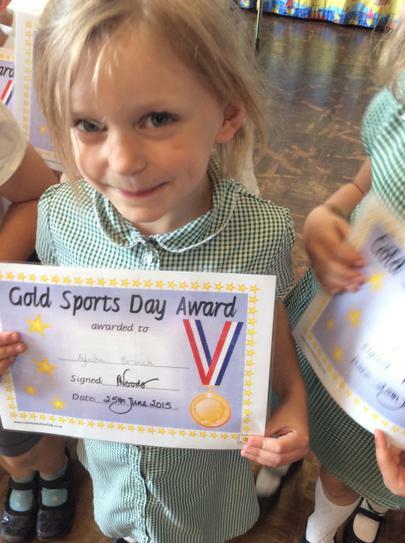 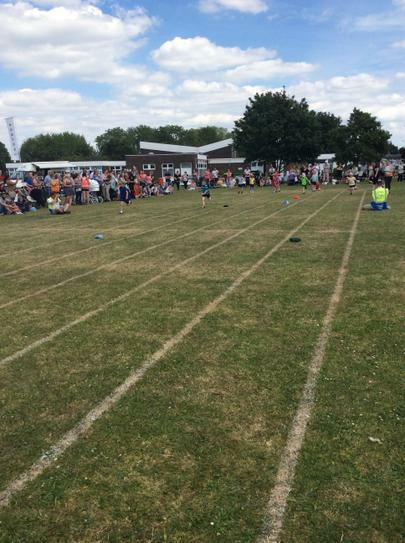 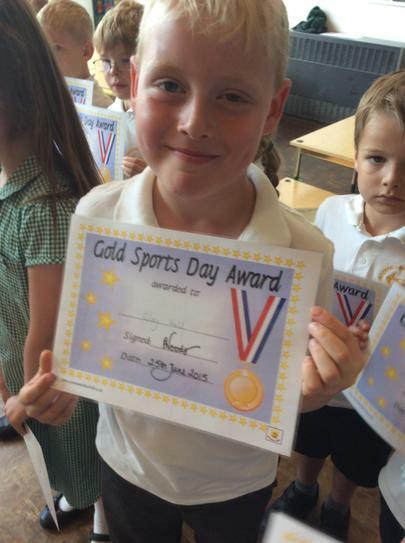 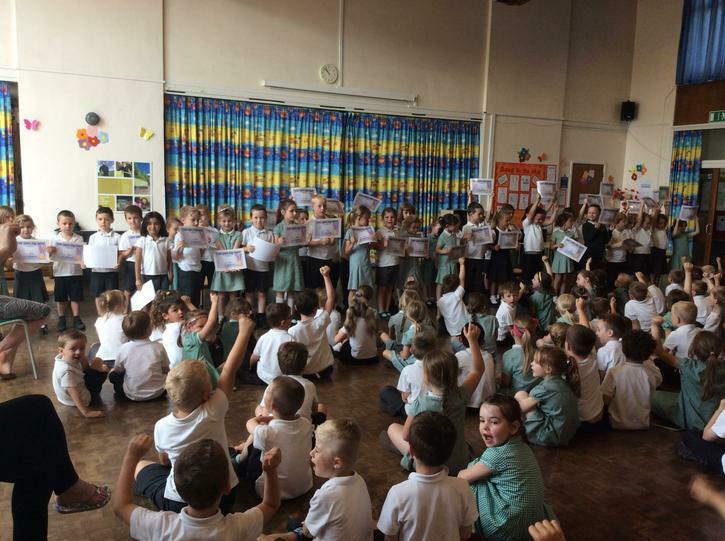 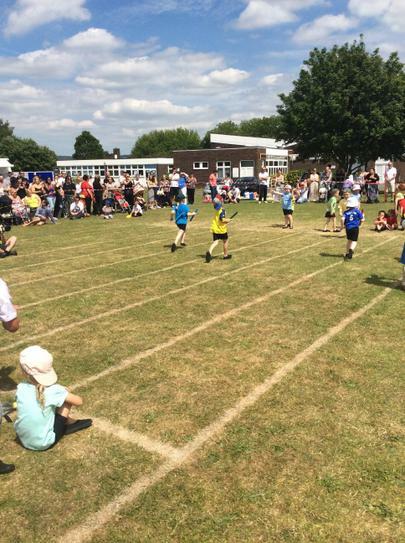 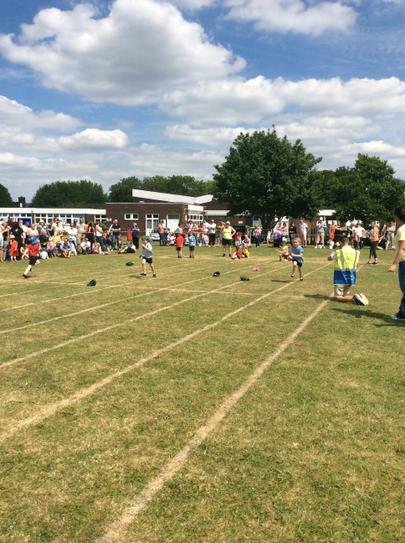 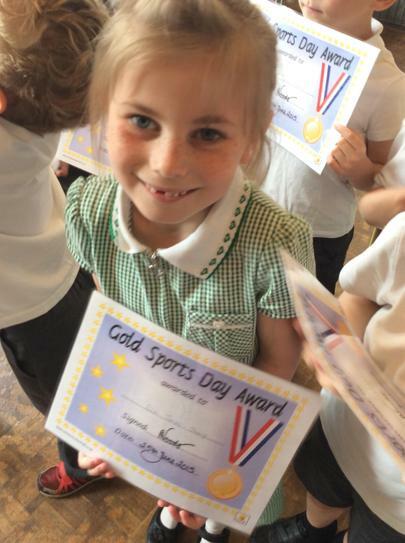 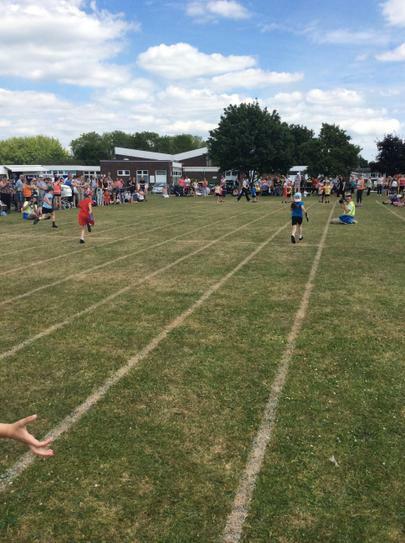 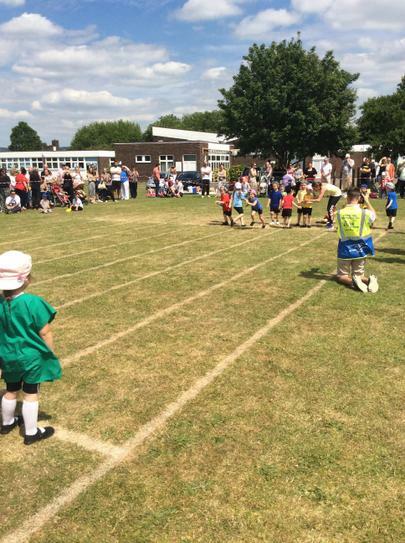 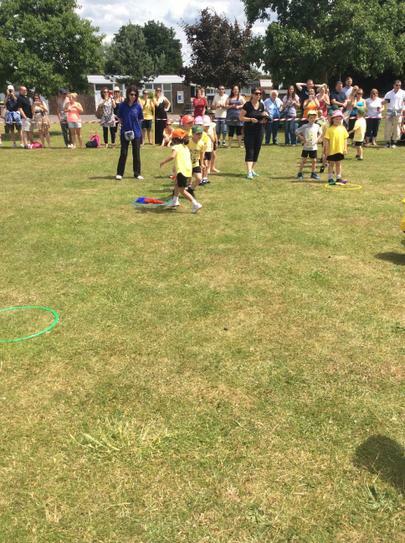 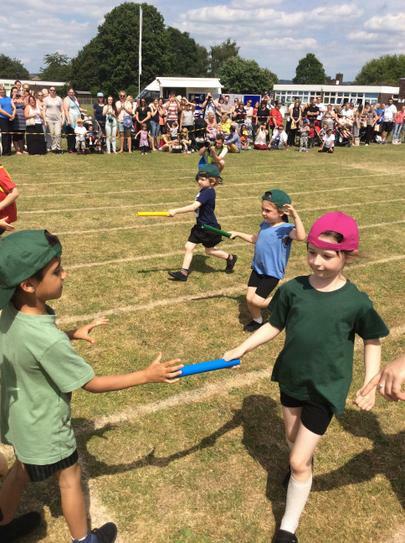 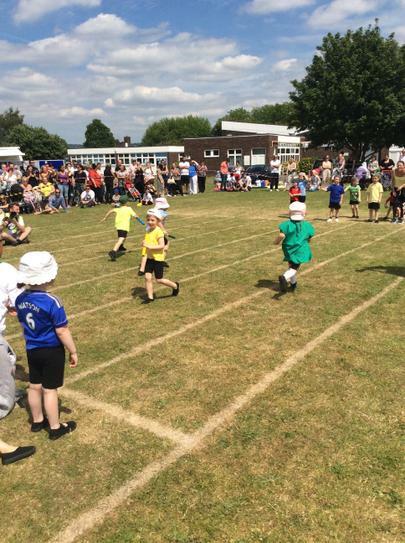 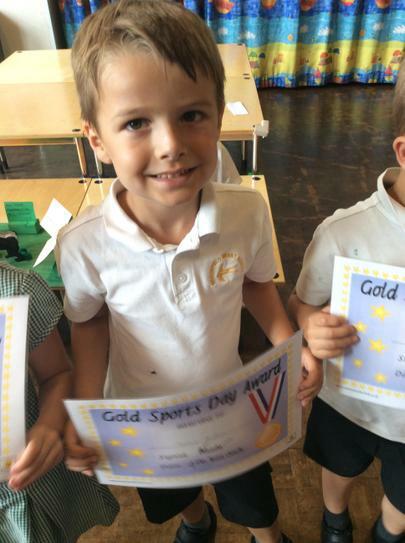 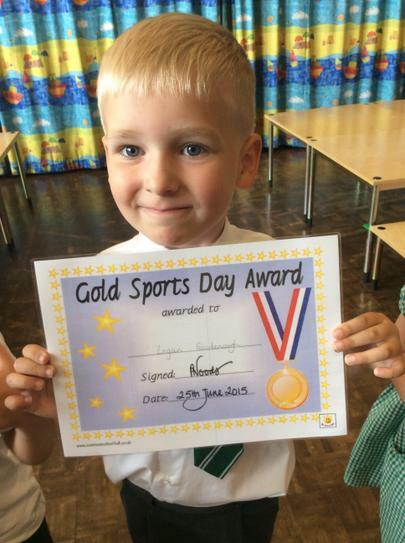 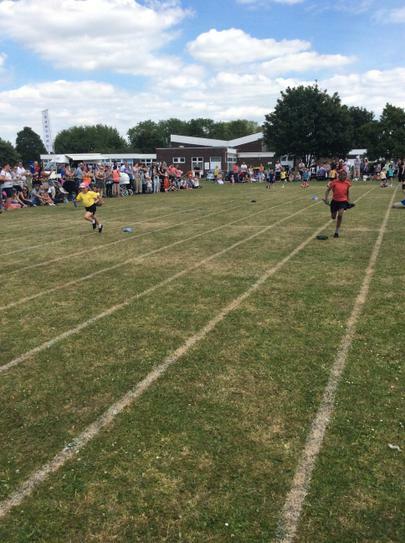 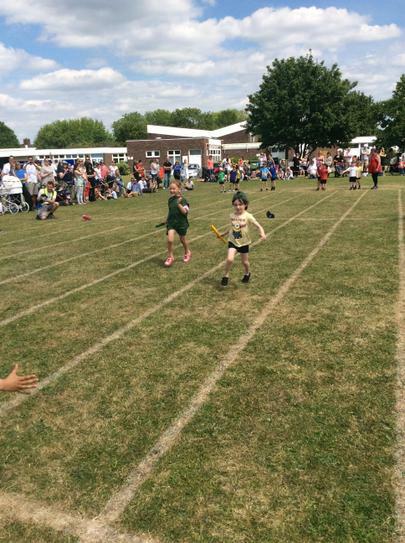 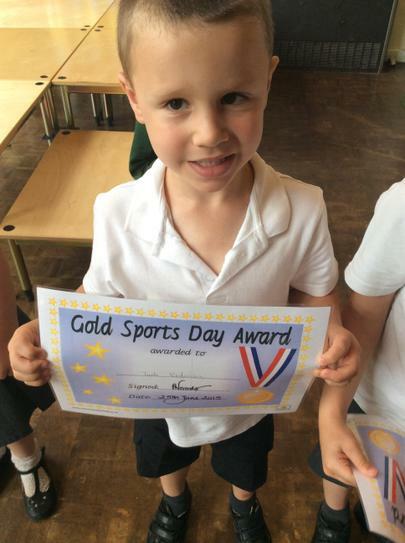 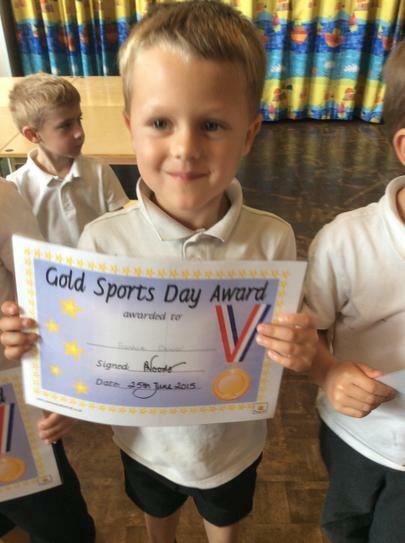 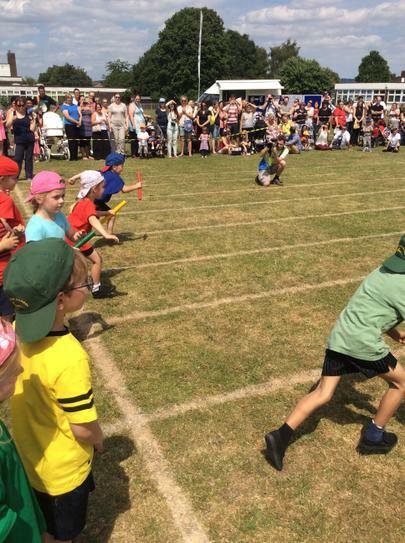 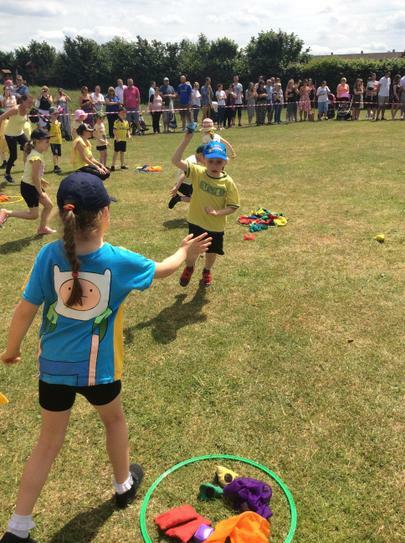 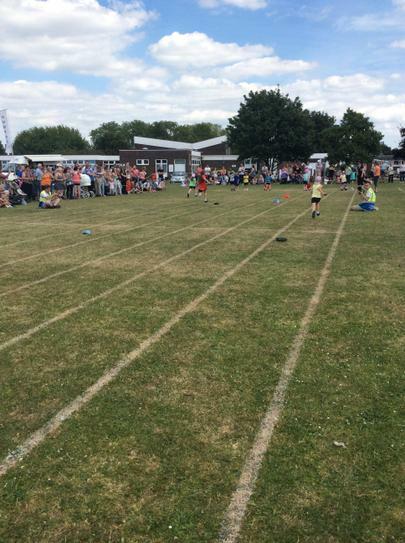 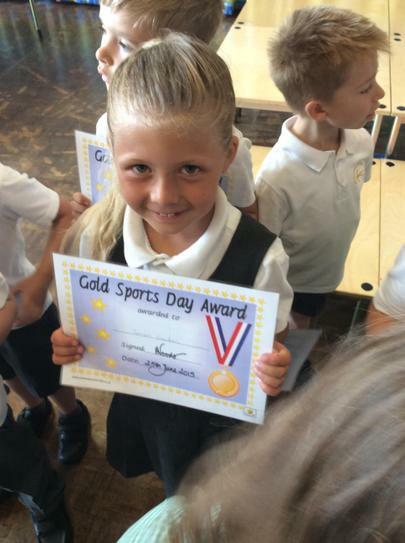 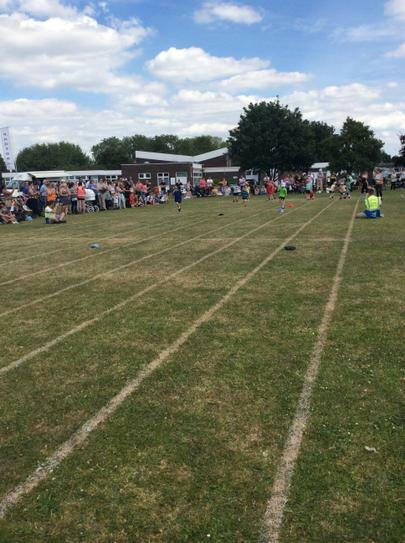 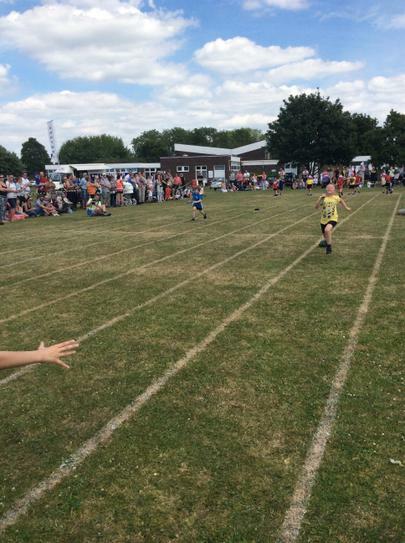 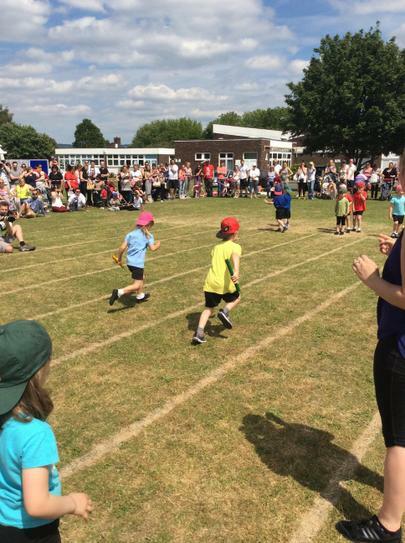 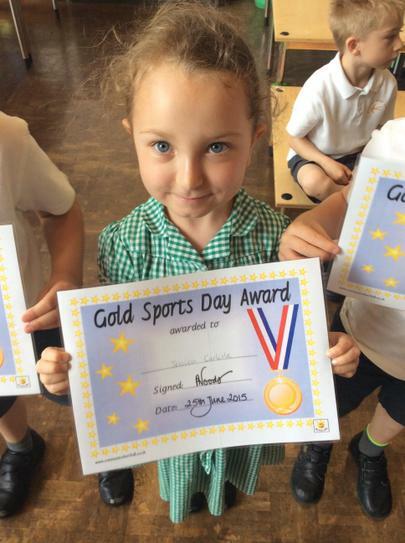 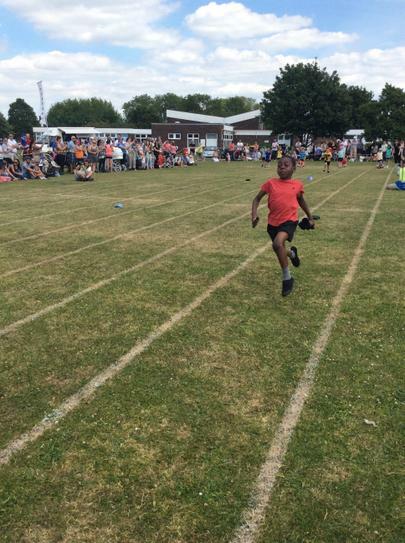 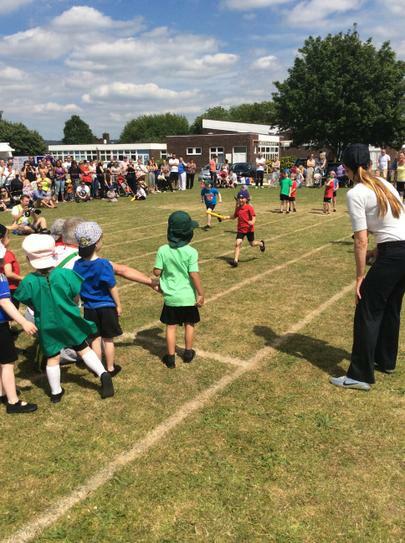 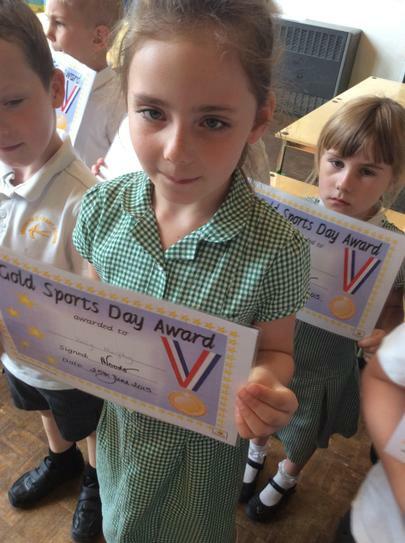 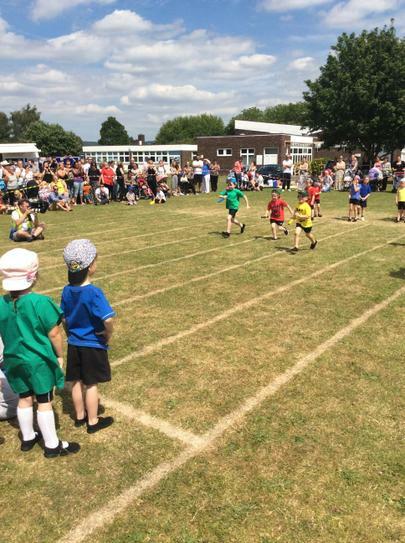 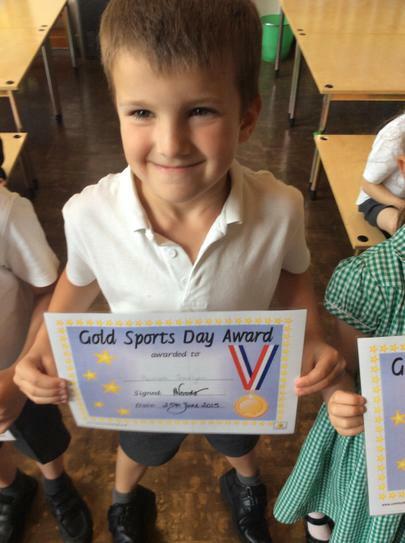 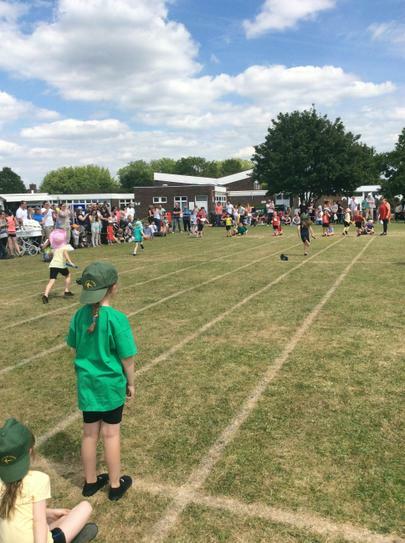 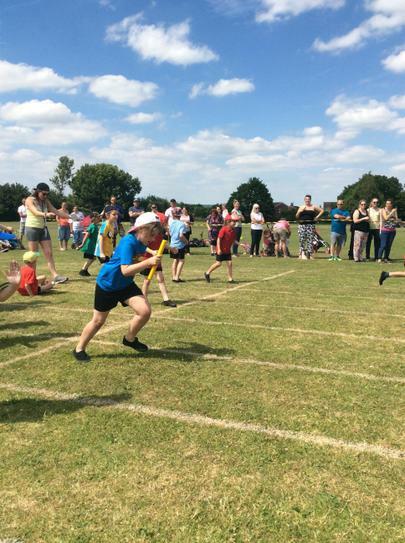 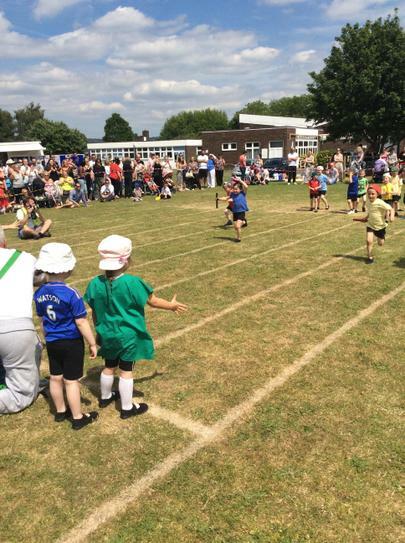 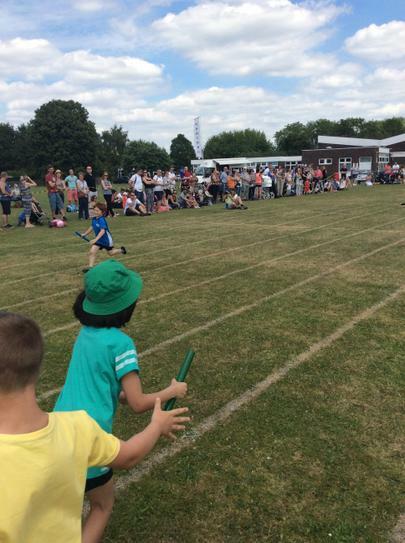 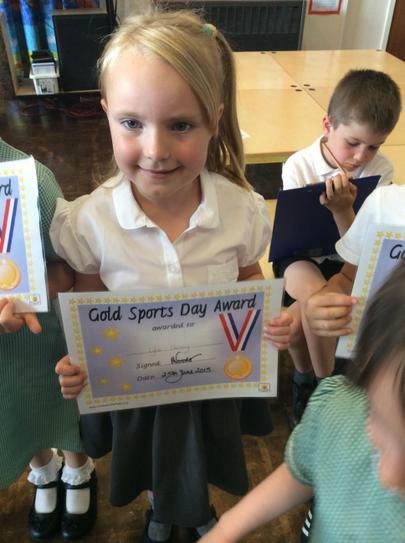 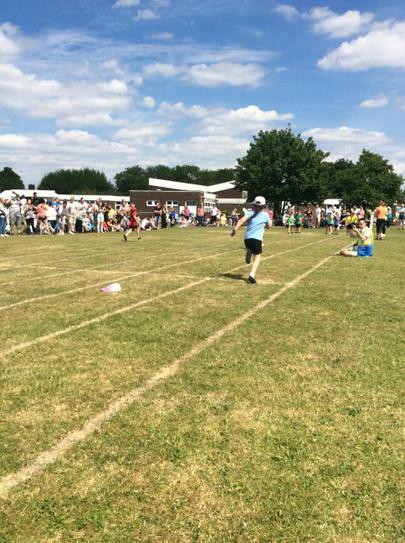 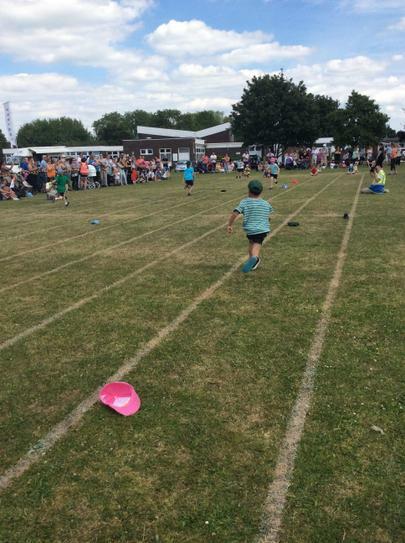 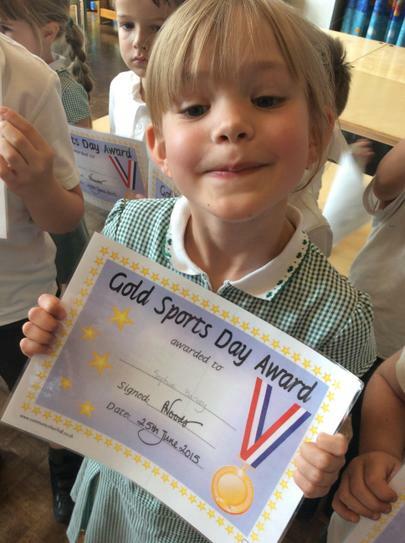 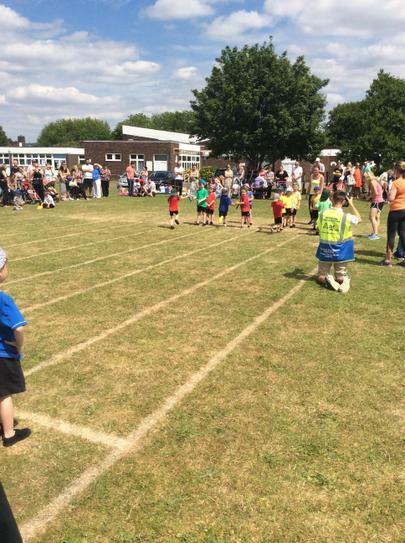 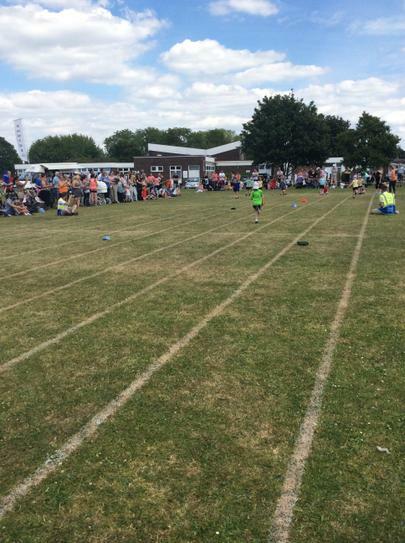 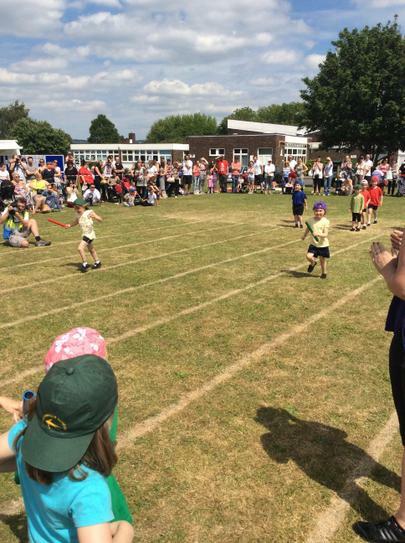 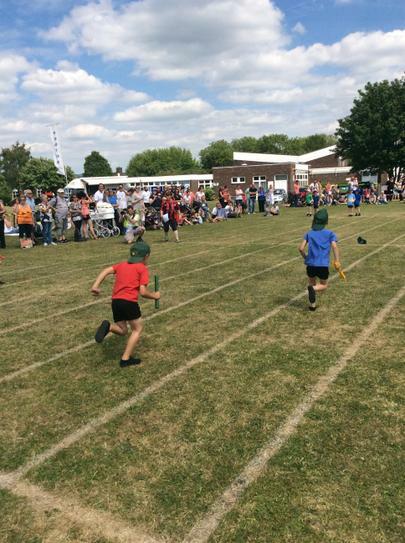 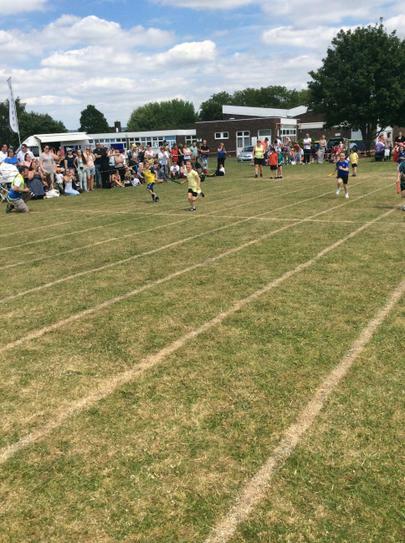 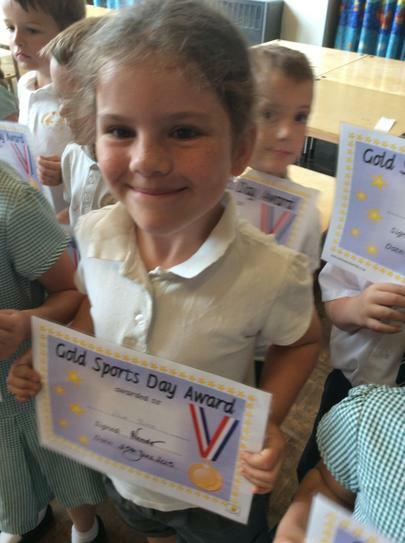 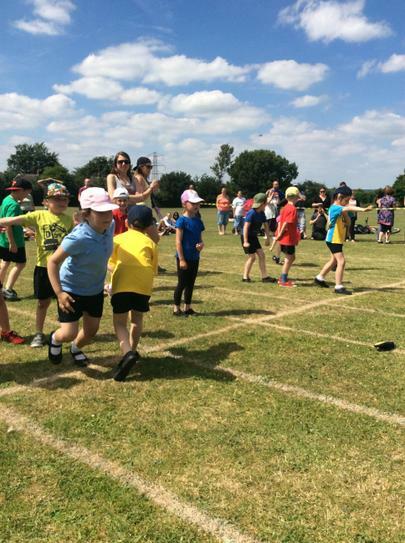 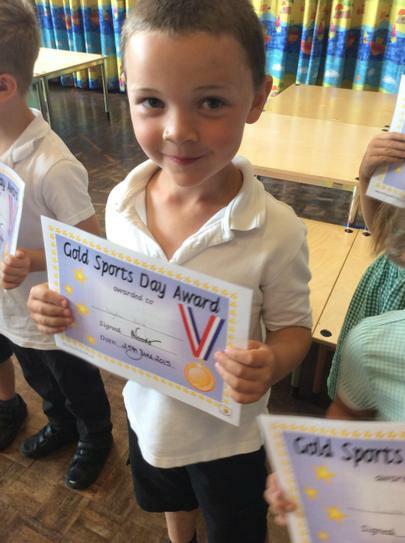 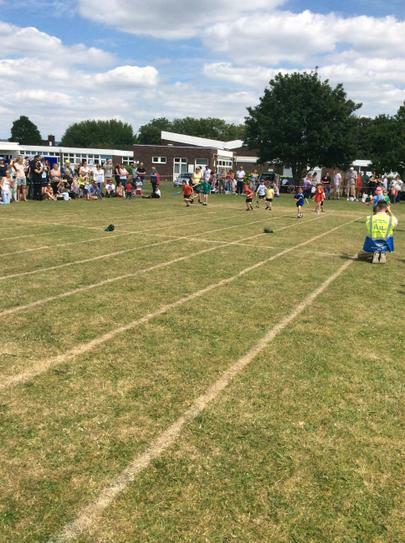 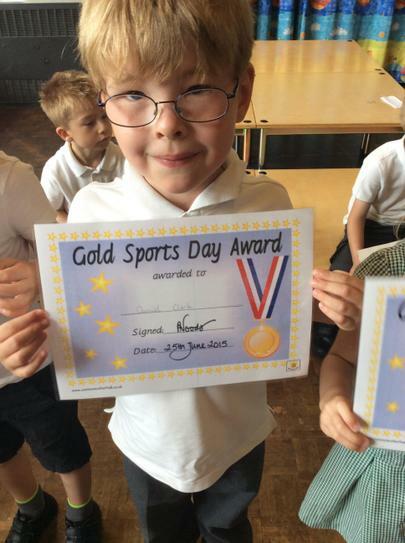 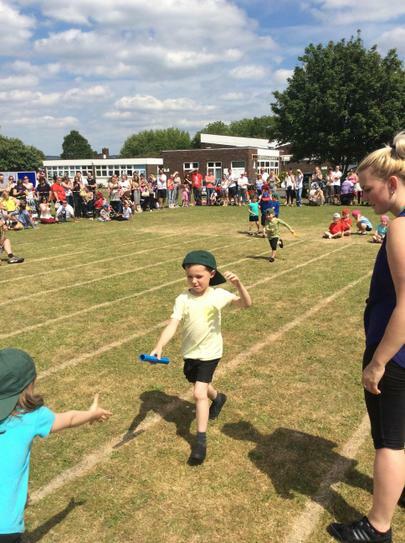 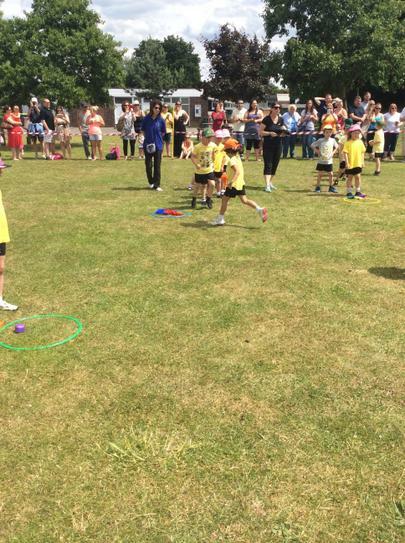 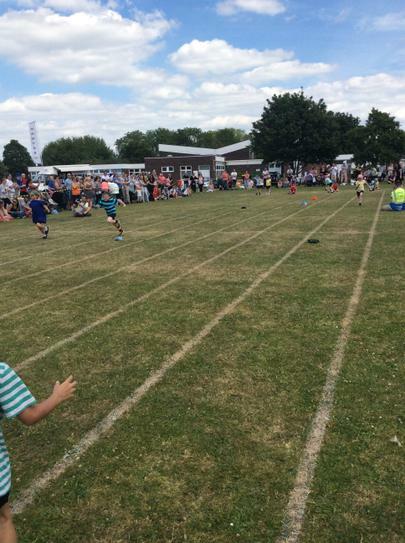 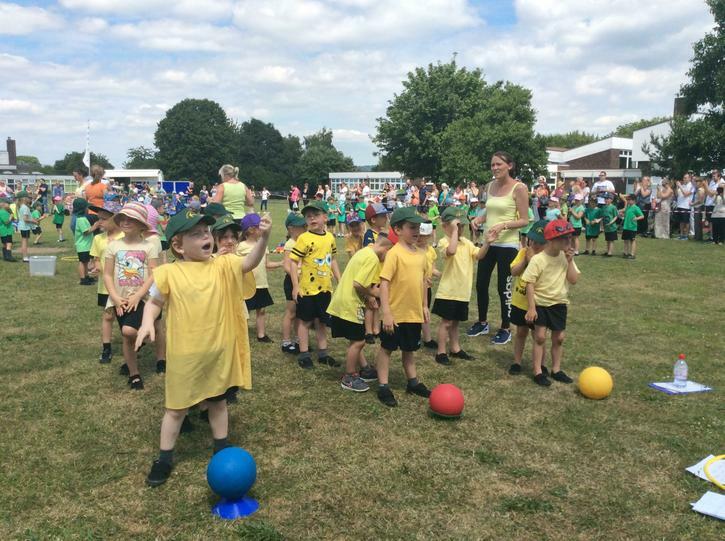 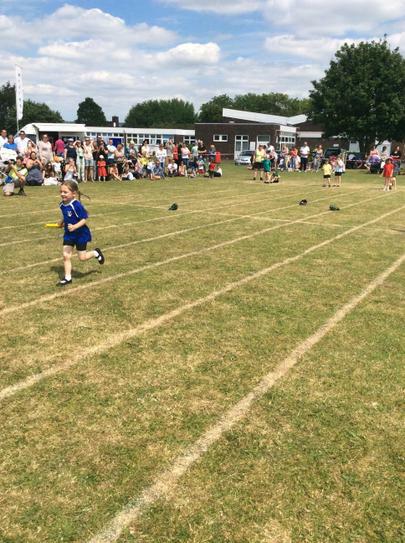 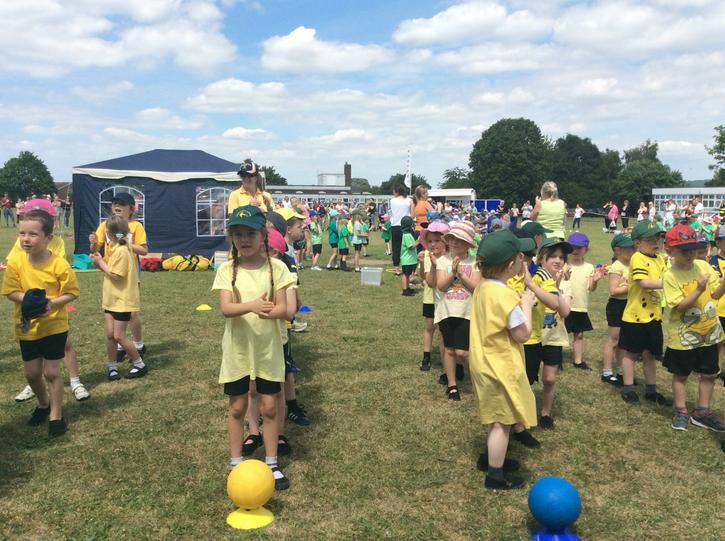 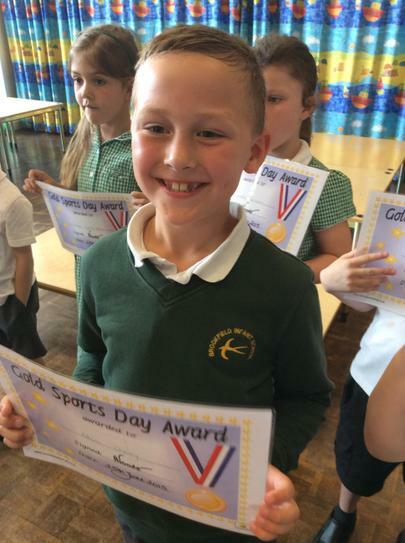 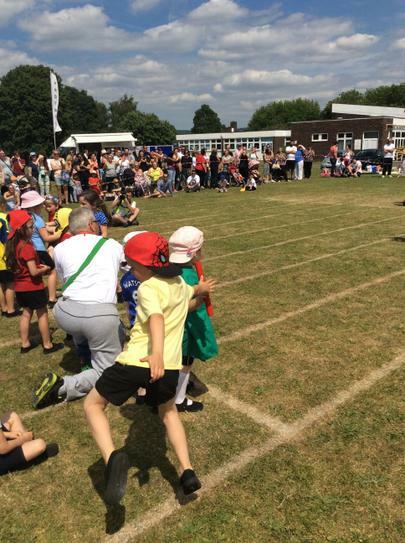 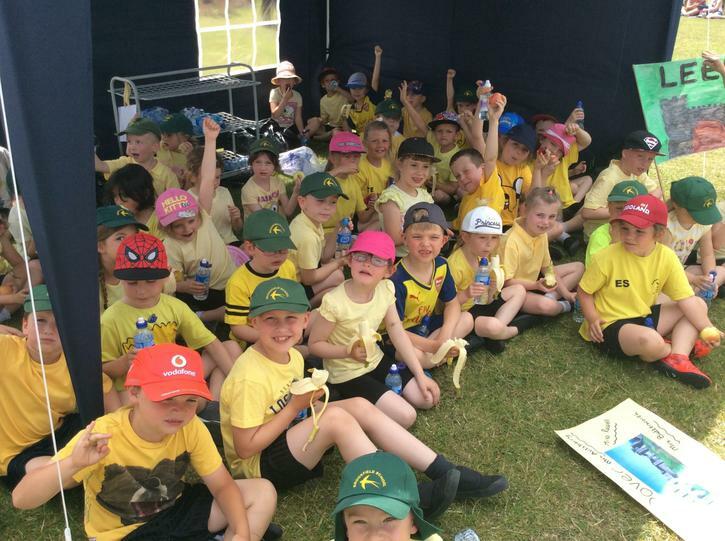 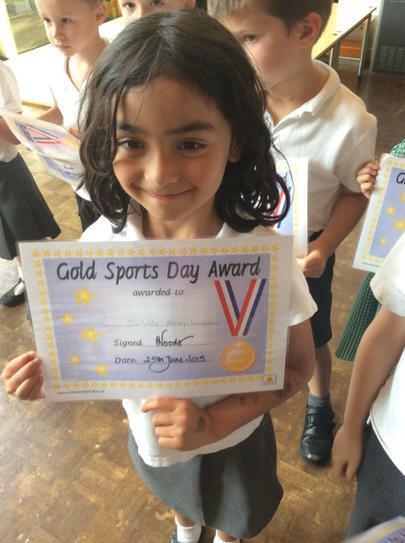 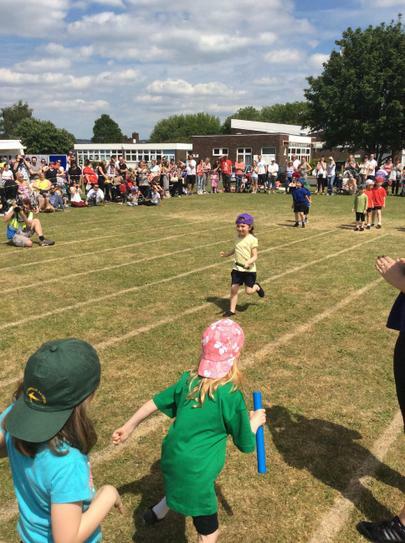 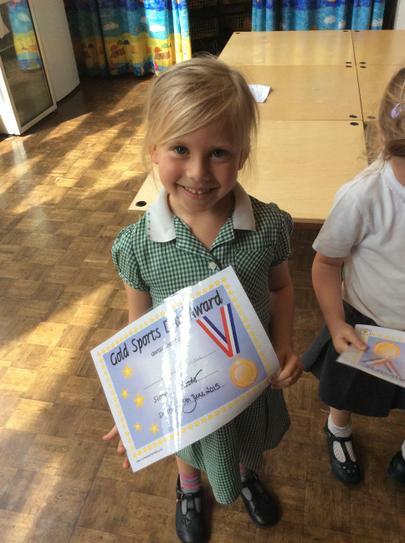 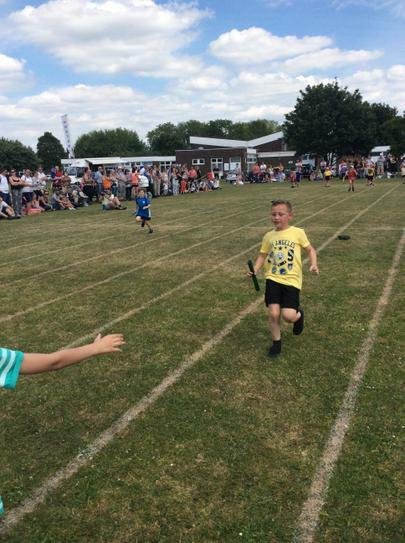 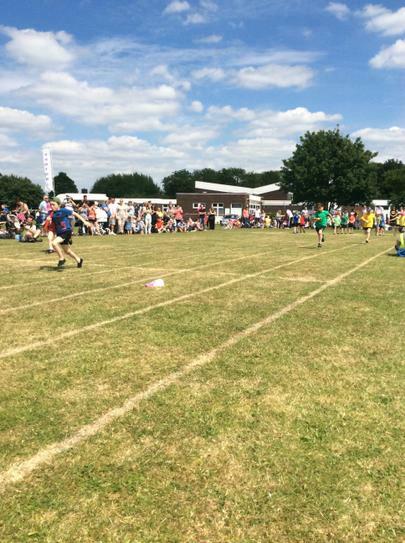 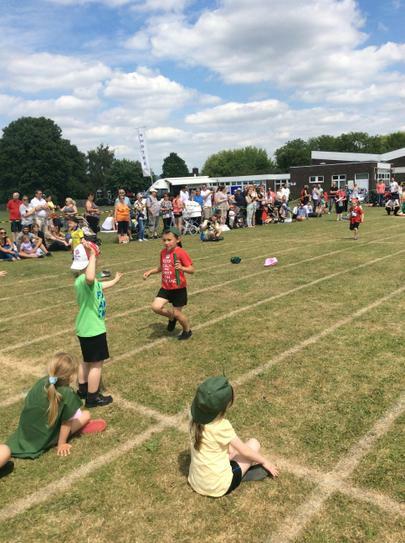 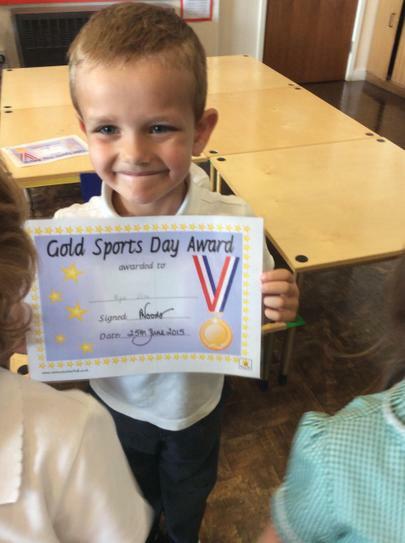 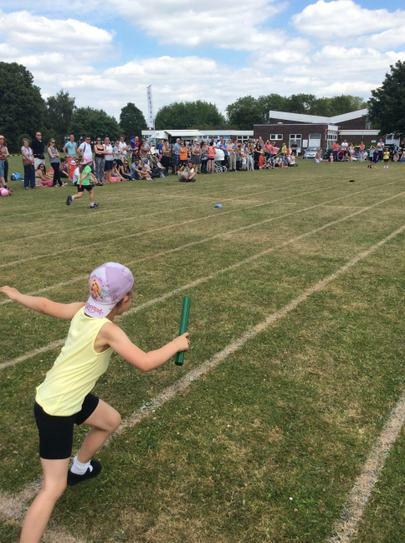 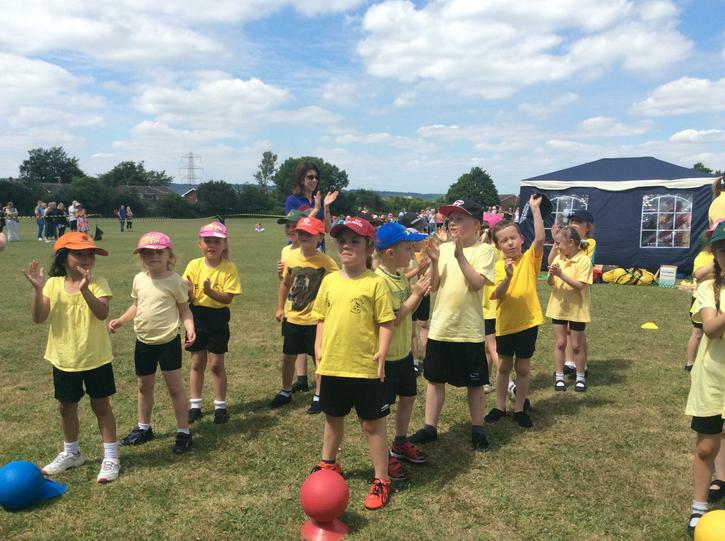 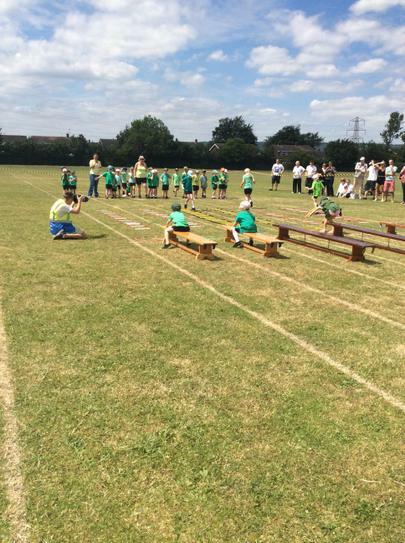 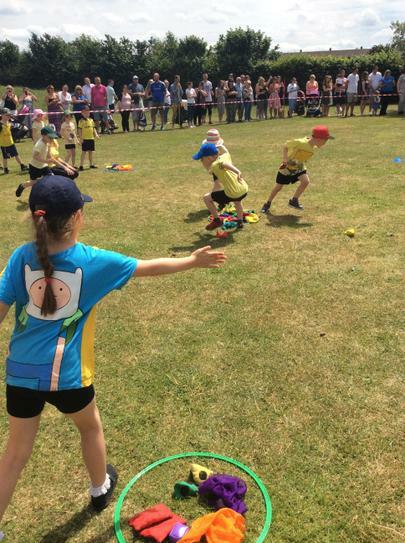 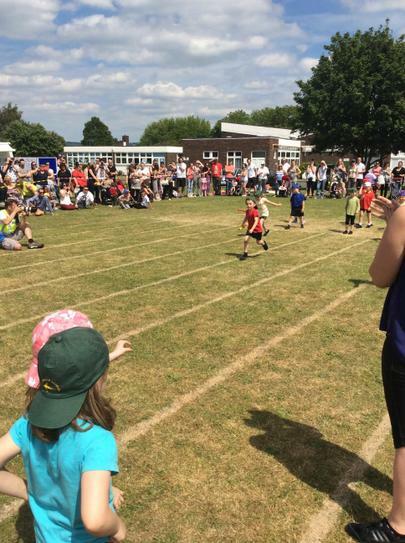 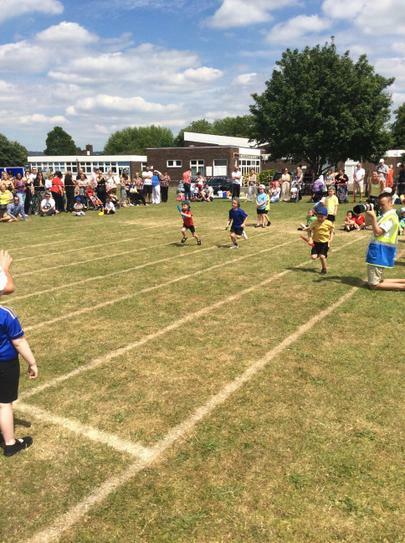 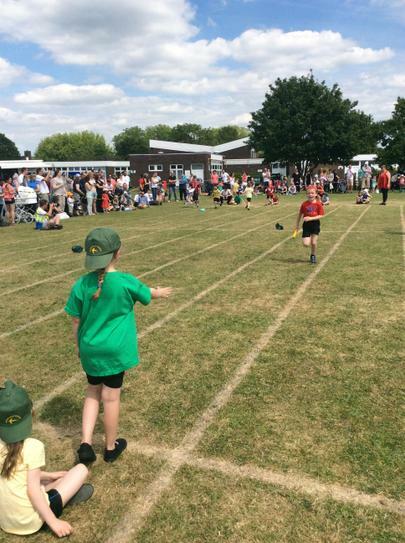 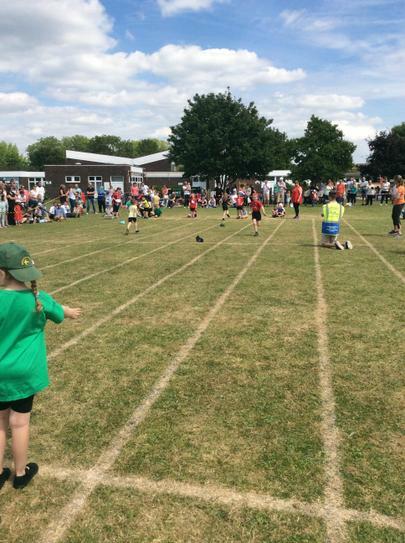 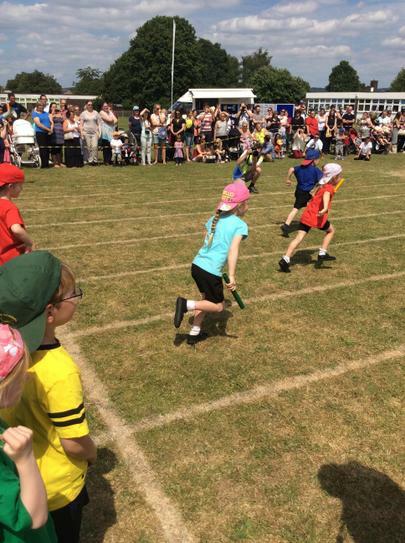 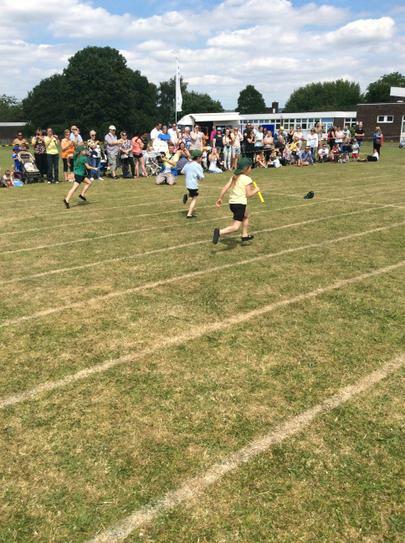 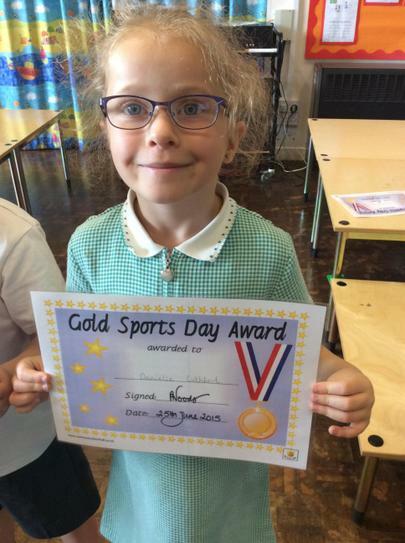 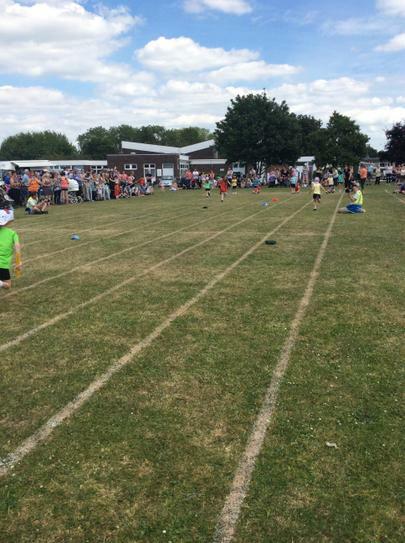 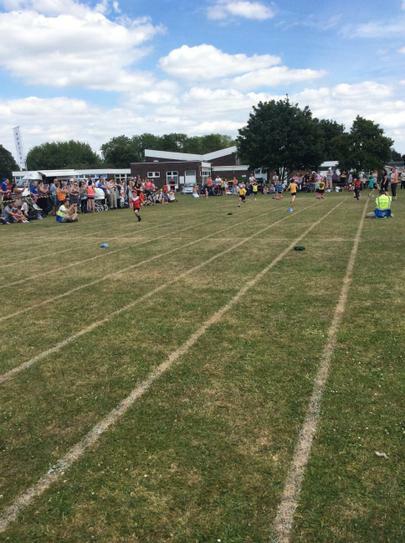 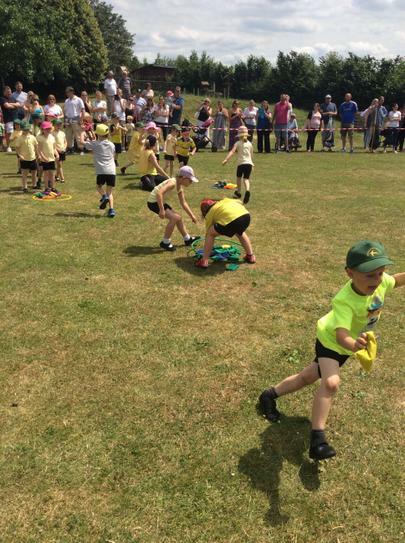 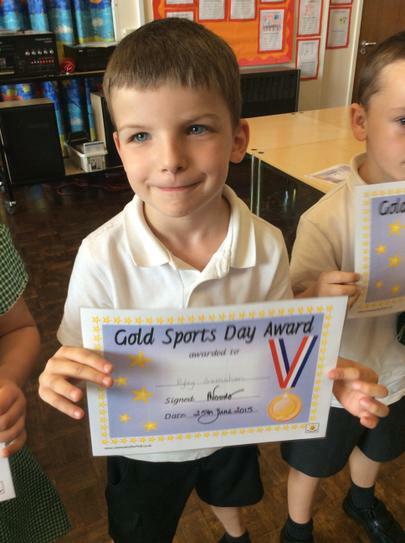 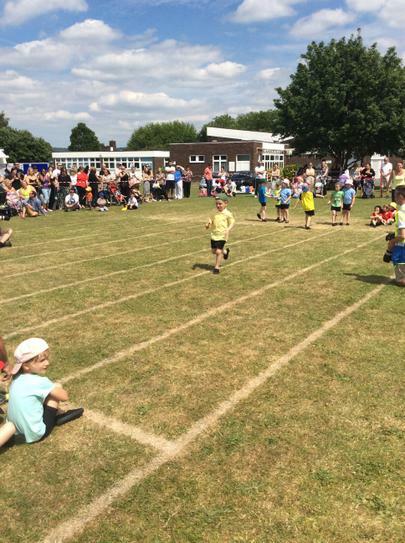 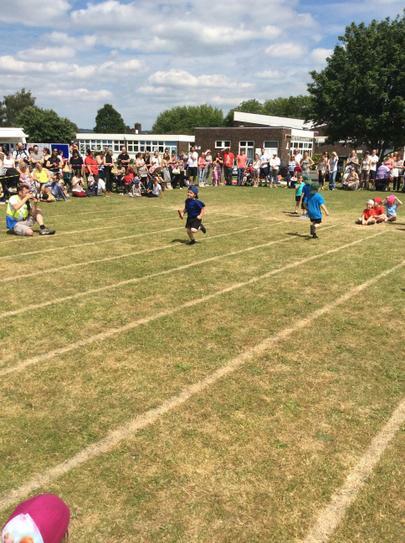 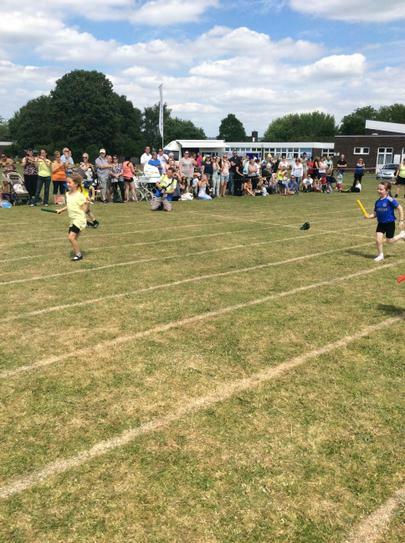 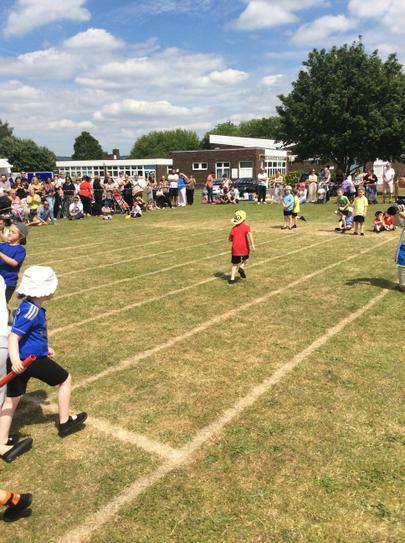 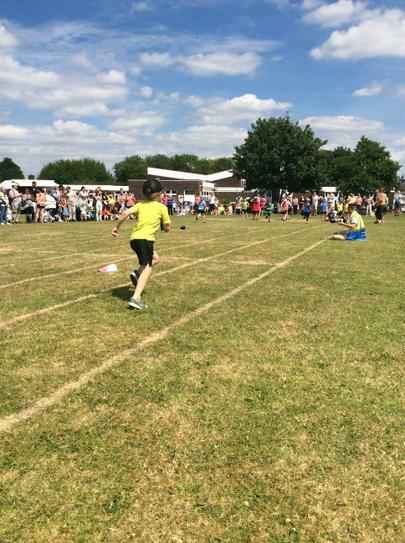 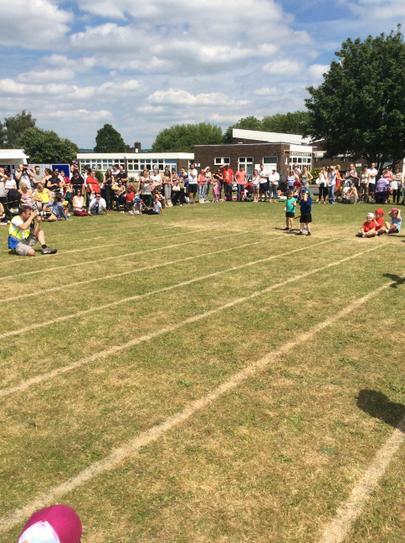 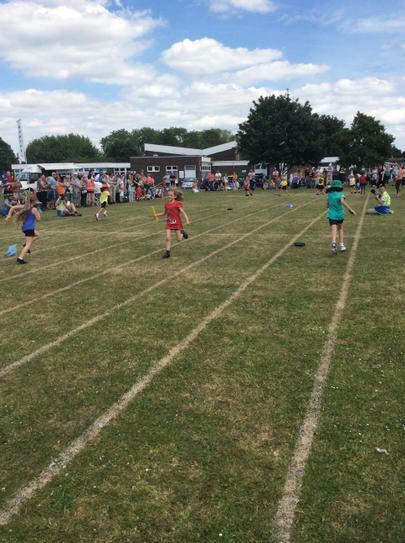 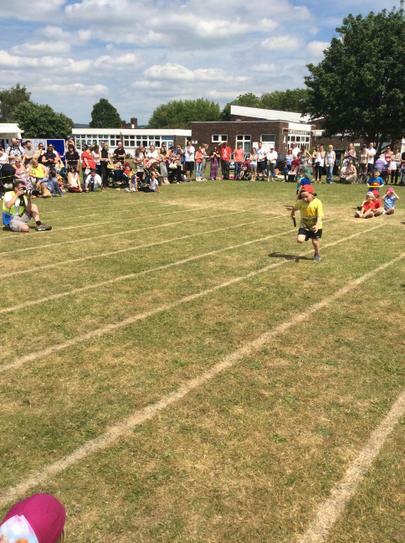 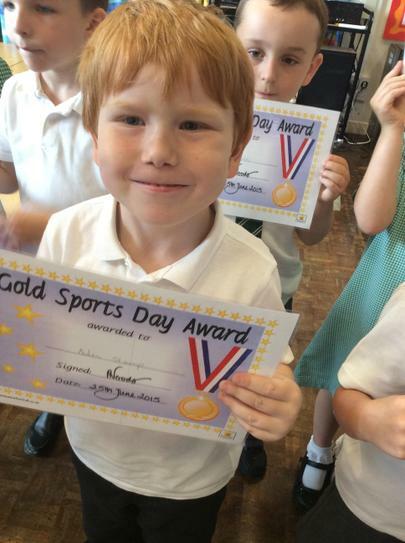 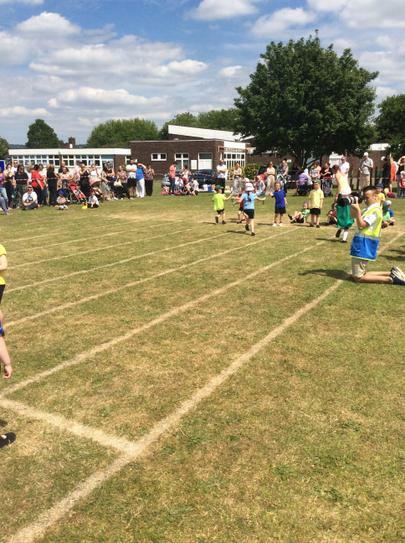 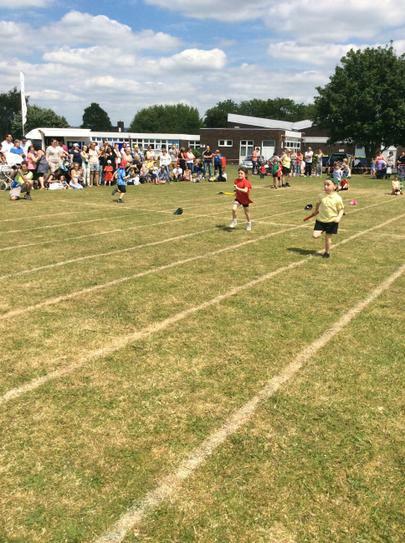 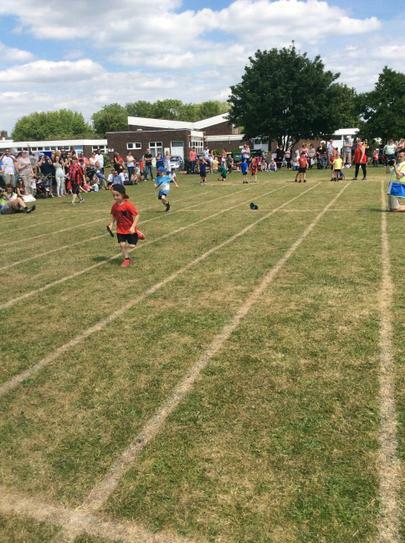 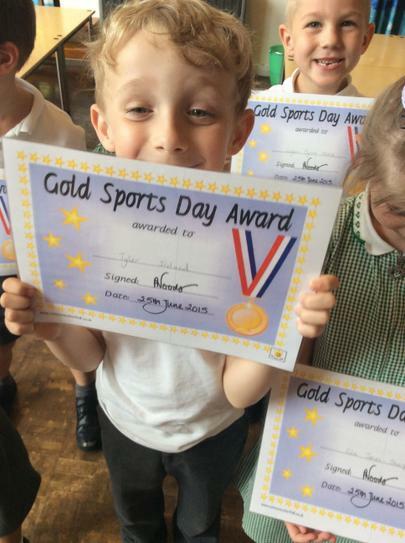 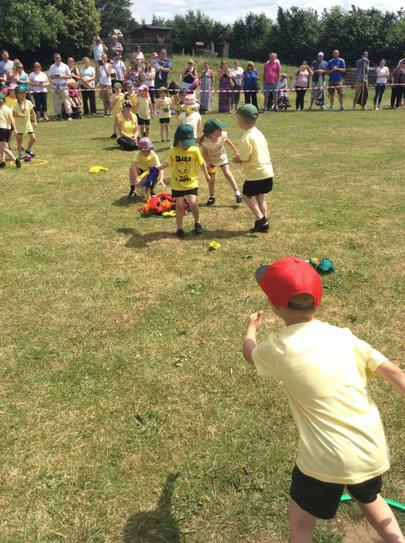 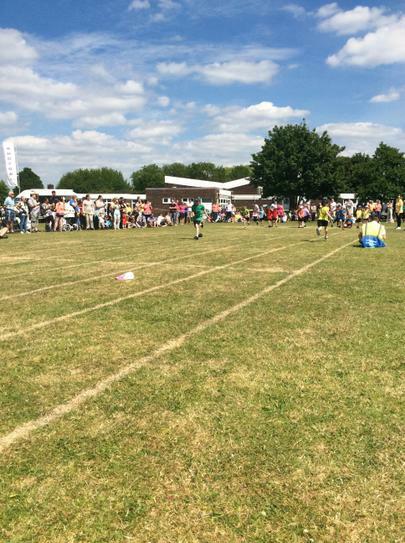 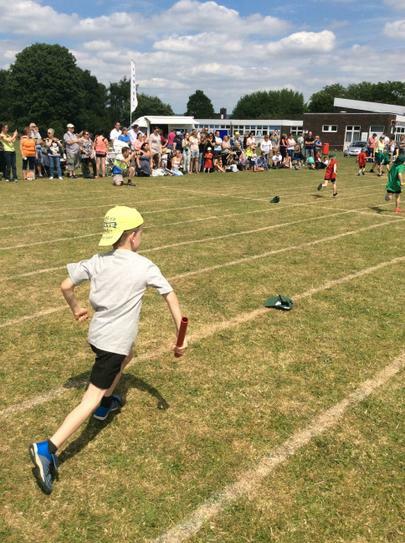 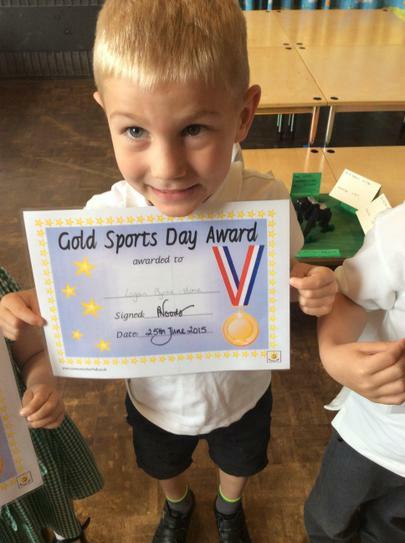 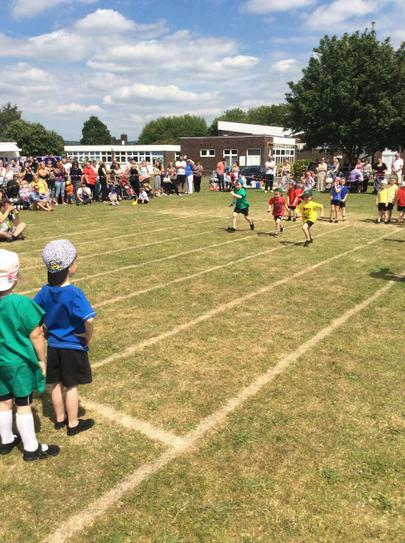 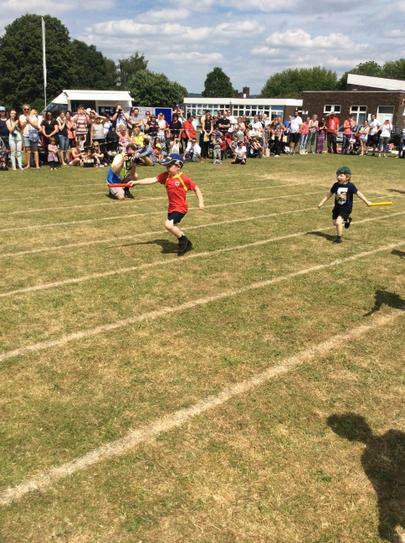 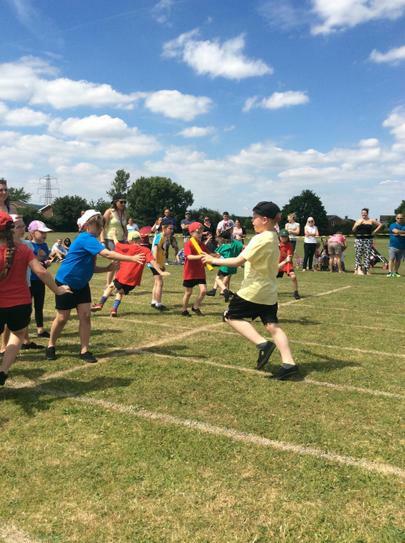 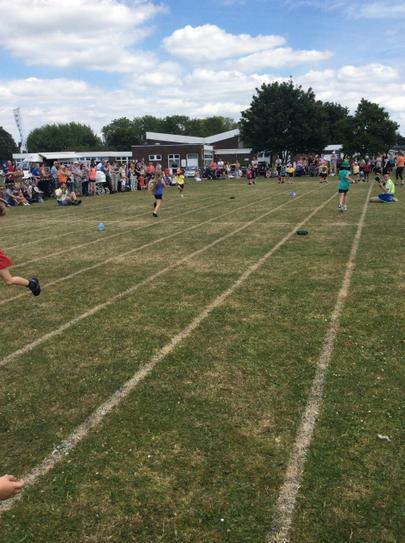 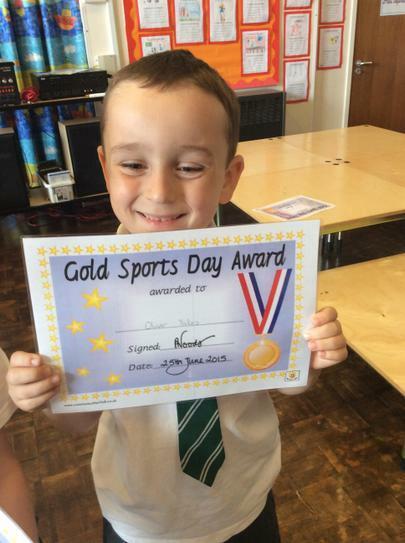 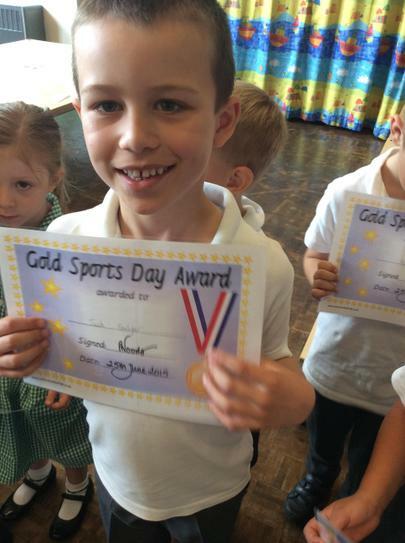 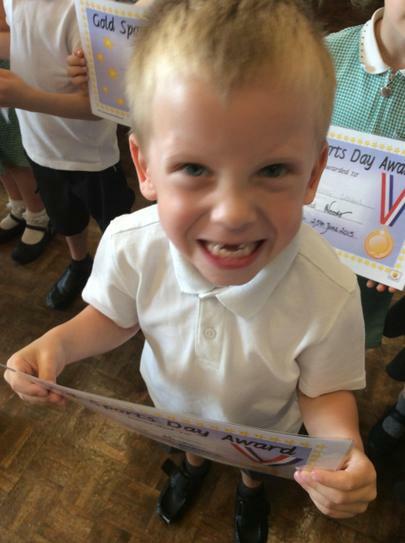 We had a great time this year on Sports Day! 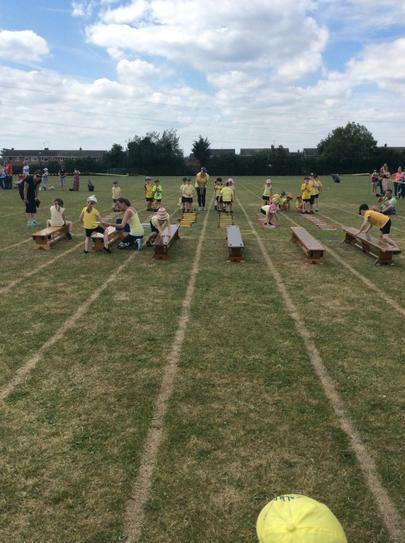 Children worked really hard during team games and we saw some speedy runners in the class relay races. 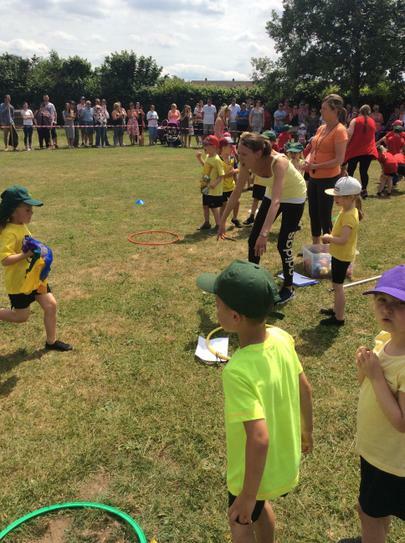 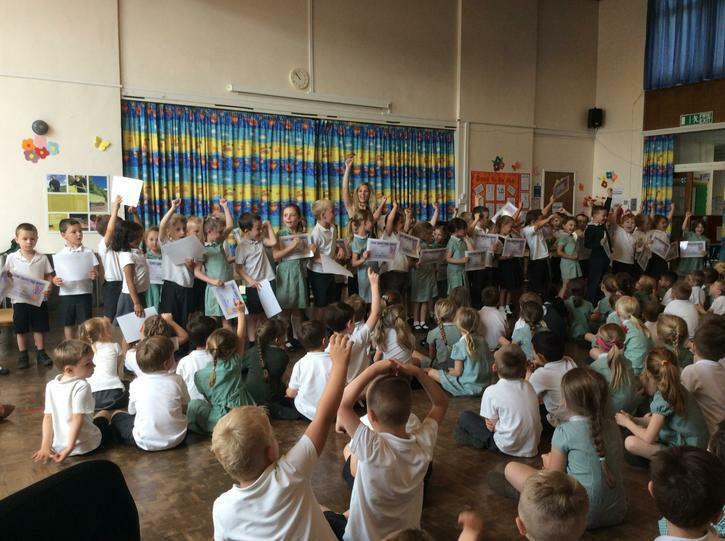 We would like to thank parents for their support, we know the children loved having you all there to watch them. 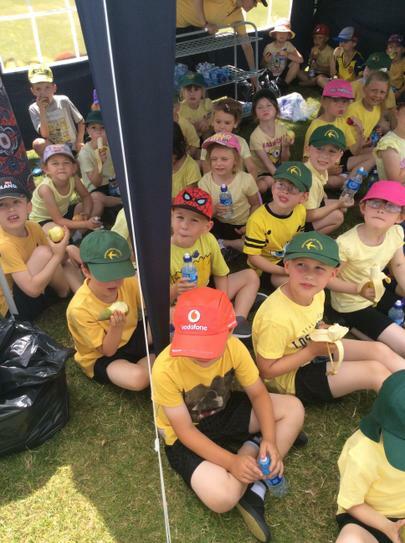 We would also like to thank Tescos who provided children with free fruit at the drinks station. 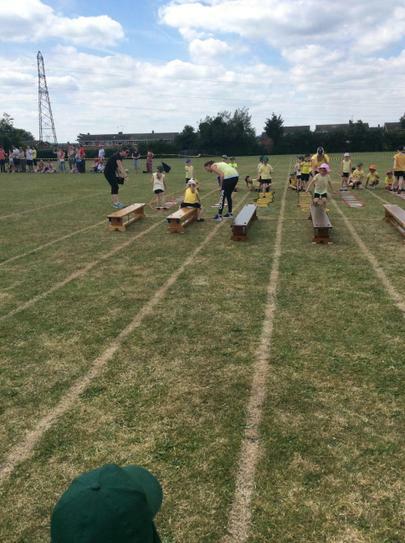 Finally the school would like to thank Miss Dennis for organising the event! 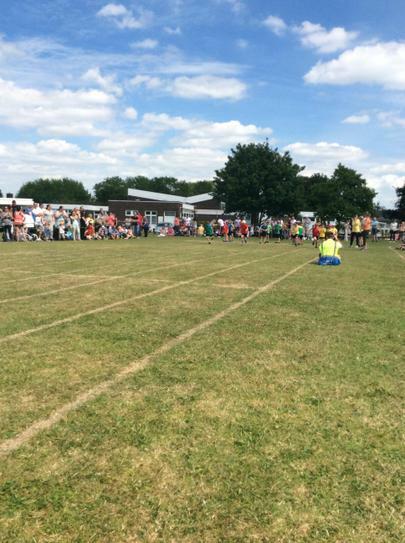 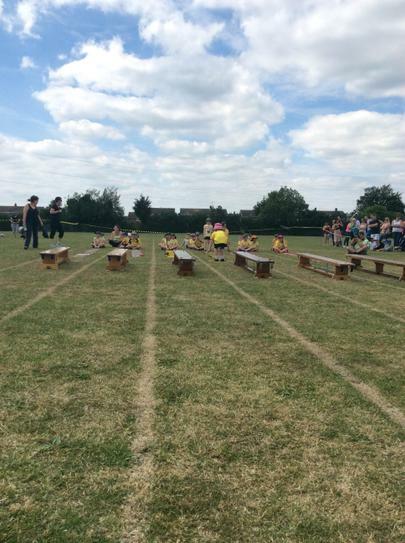 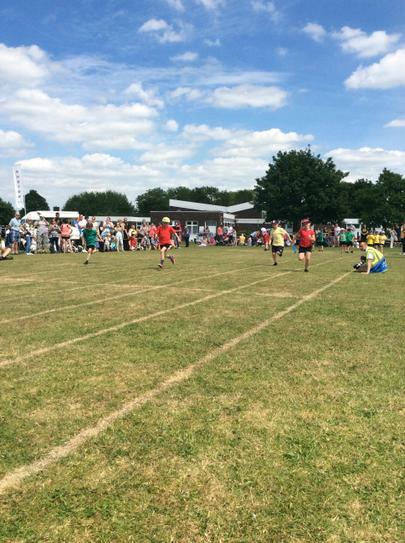 Congratulations to Yellow Team who were this years Sports Day winners!